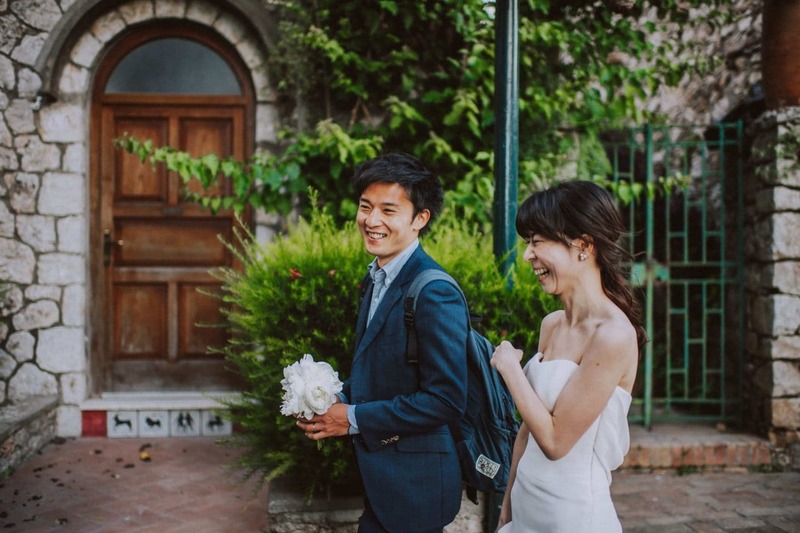 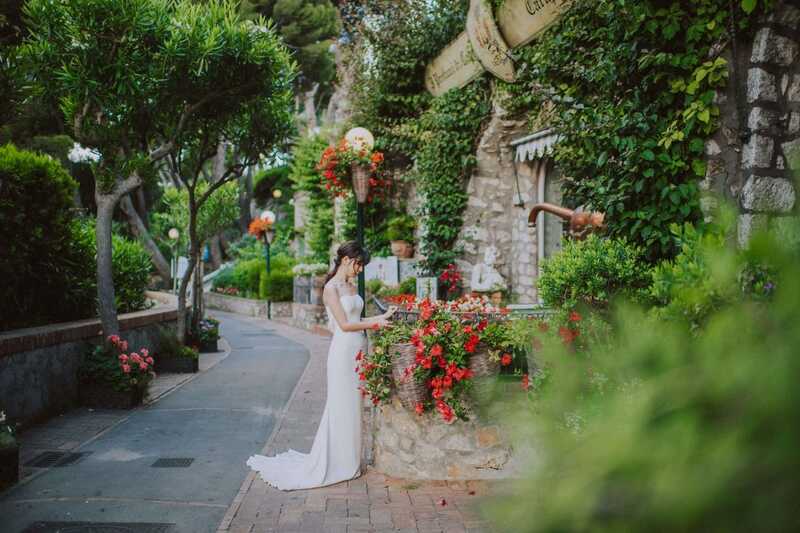 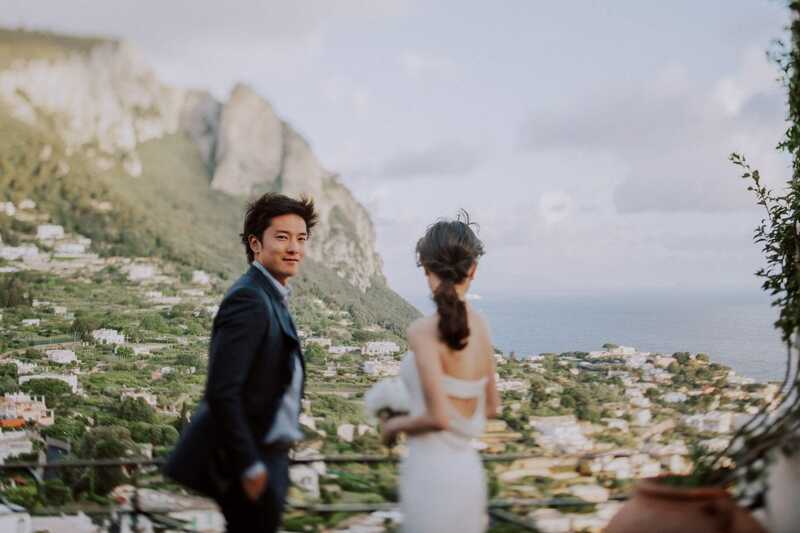 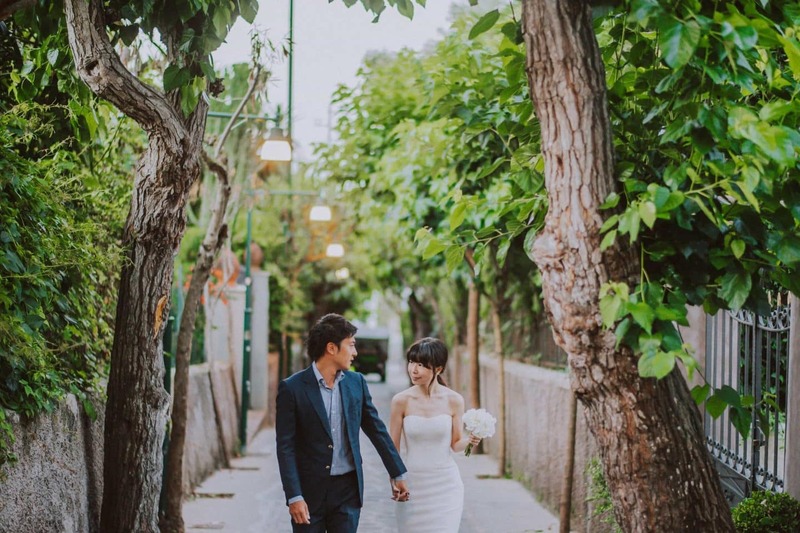 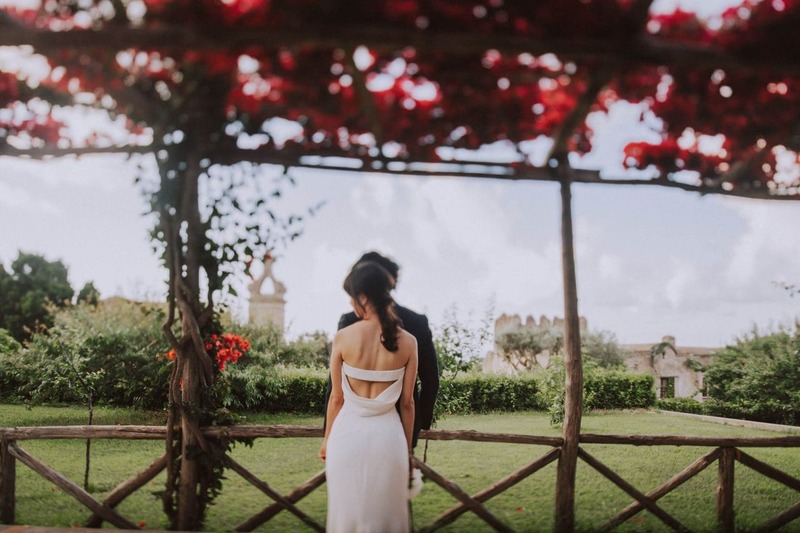 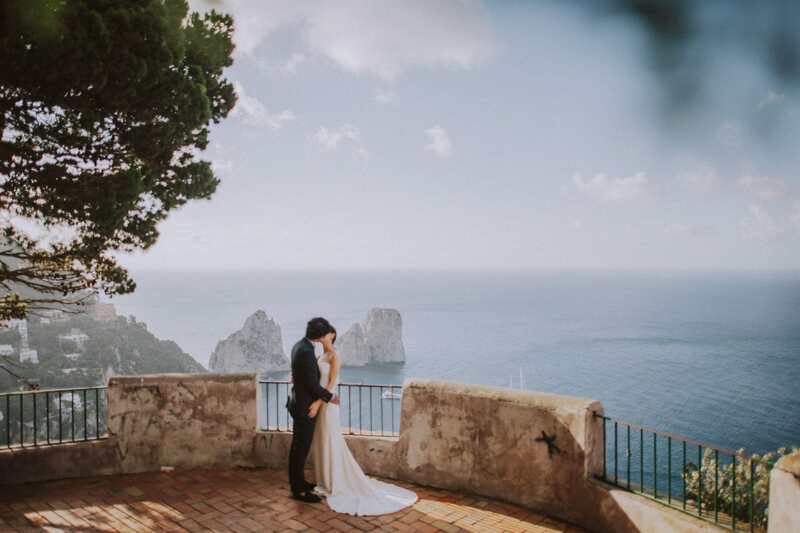 When it comes to destination weddings abroad, there is undoubtedly no better place to get married than in Italy! 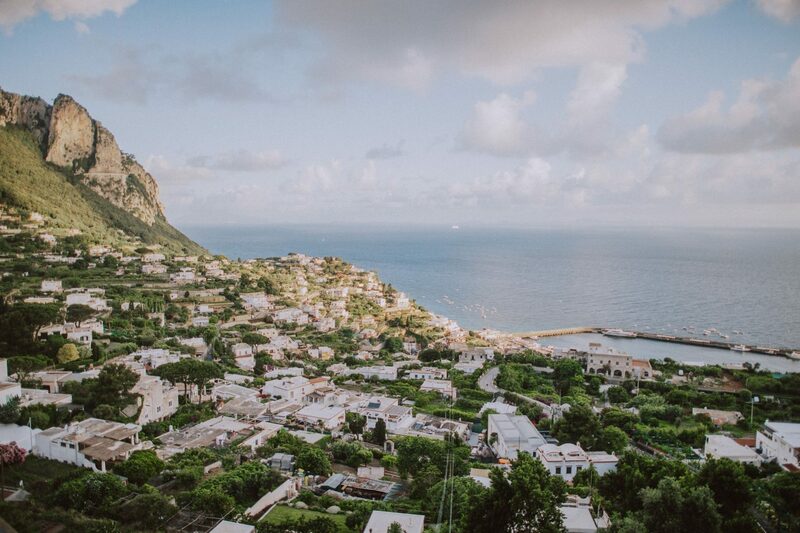 Absolutely one of the most beautiful countries. 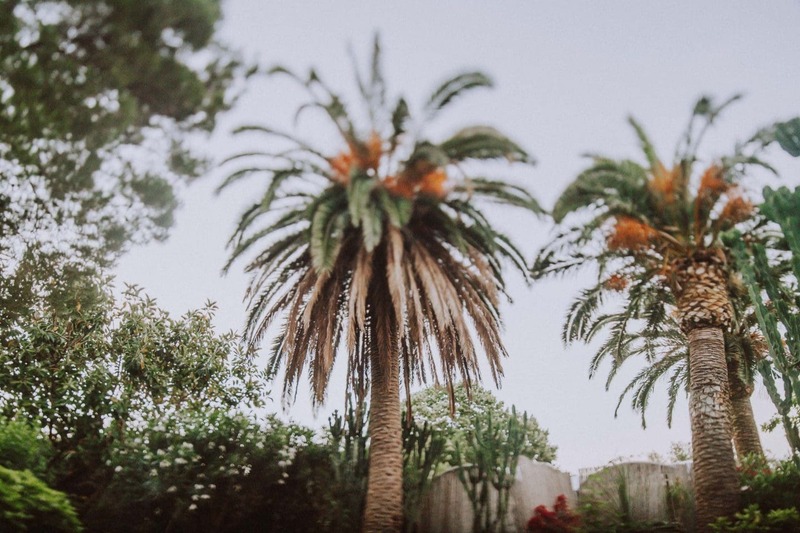 There are heaps of destinations to choose from. 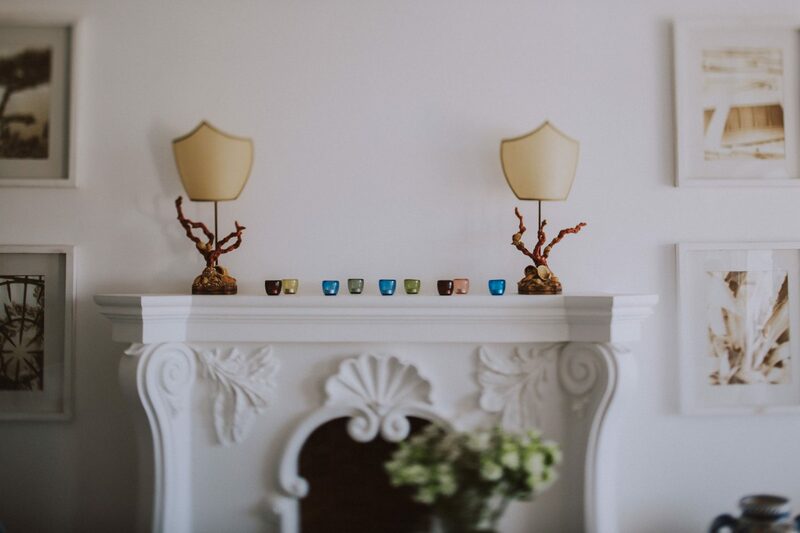 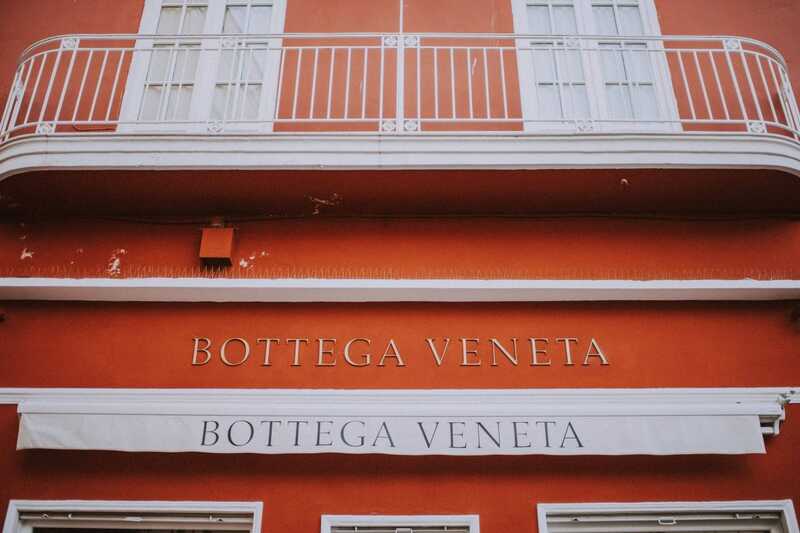 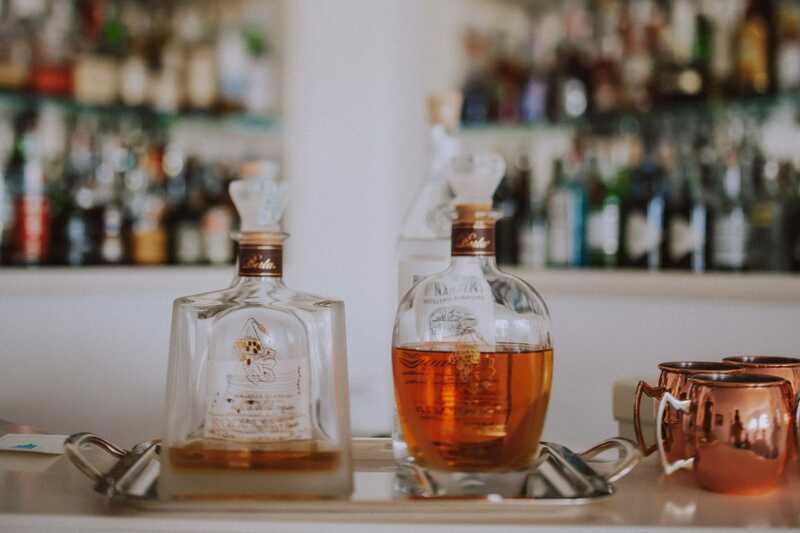 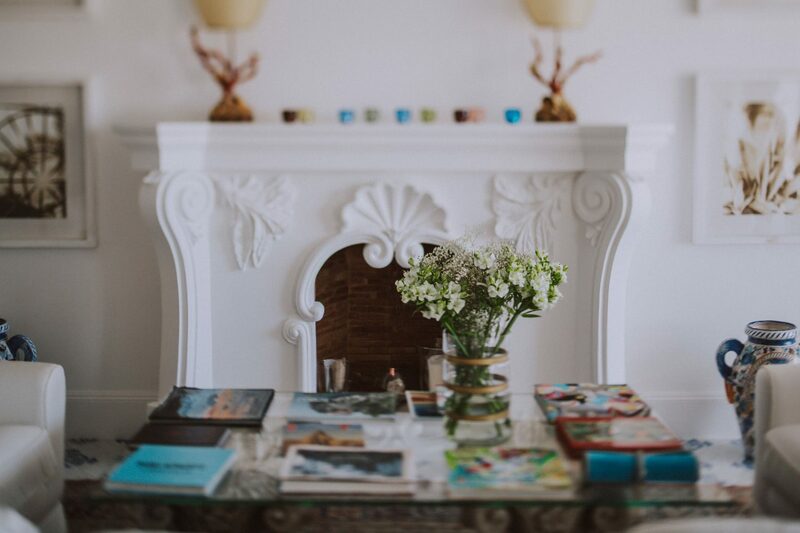 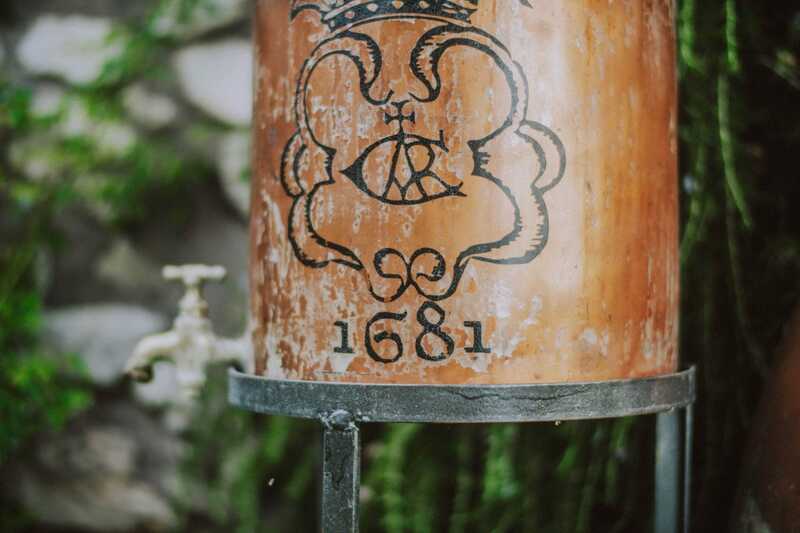 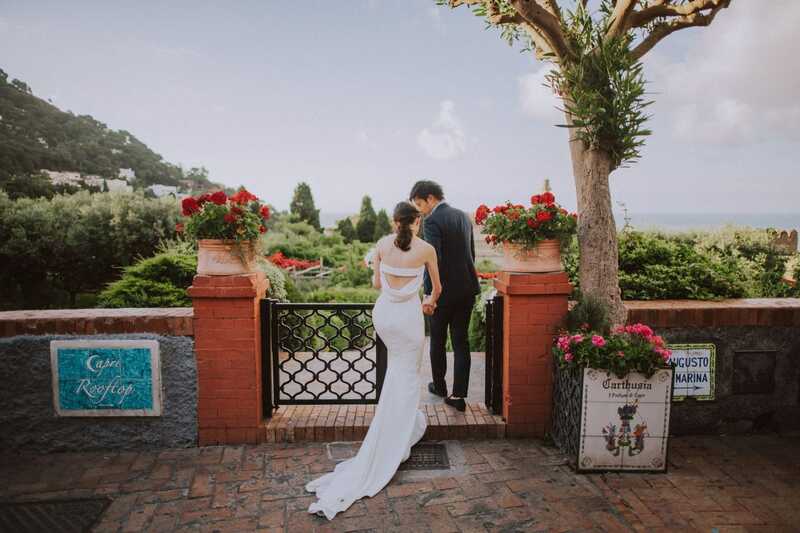 Whether it’s a stunning wedding venue in Venice, an outstanding terrace in Florence or Positano . 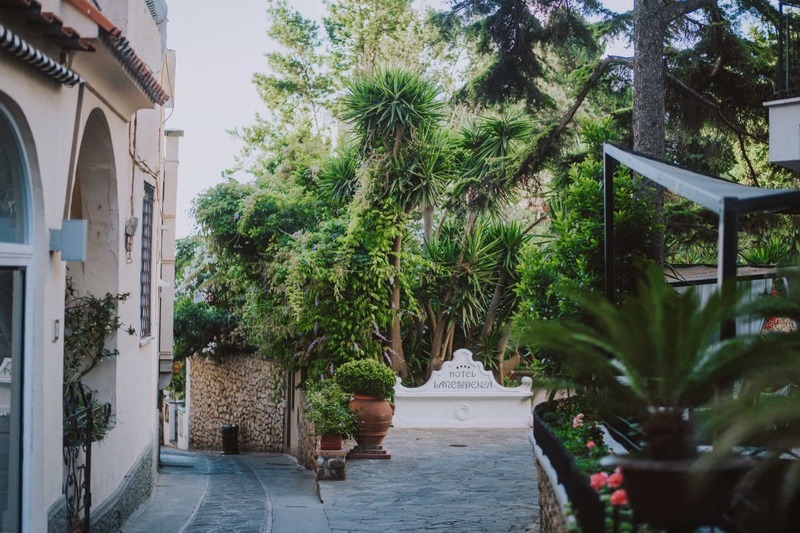 Even a cute spot in Lake Como or Garda, you won’t be disappointed! 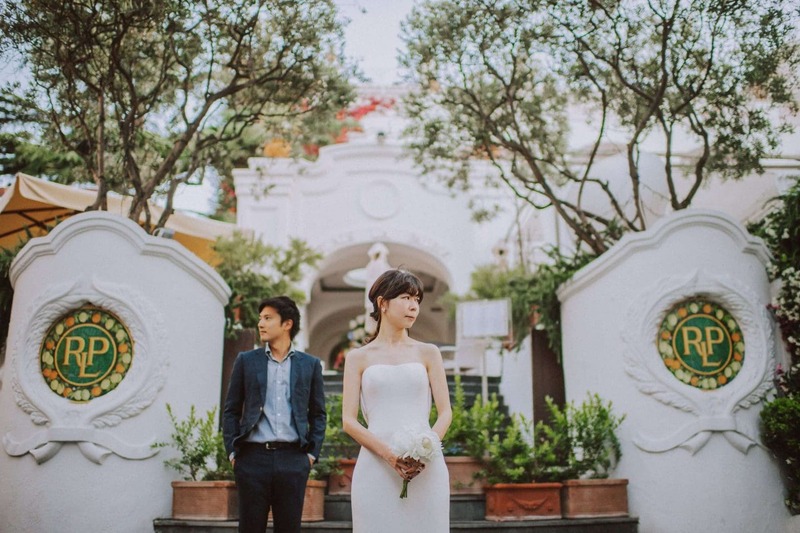 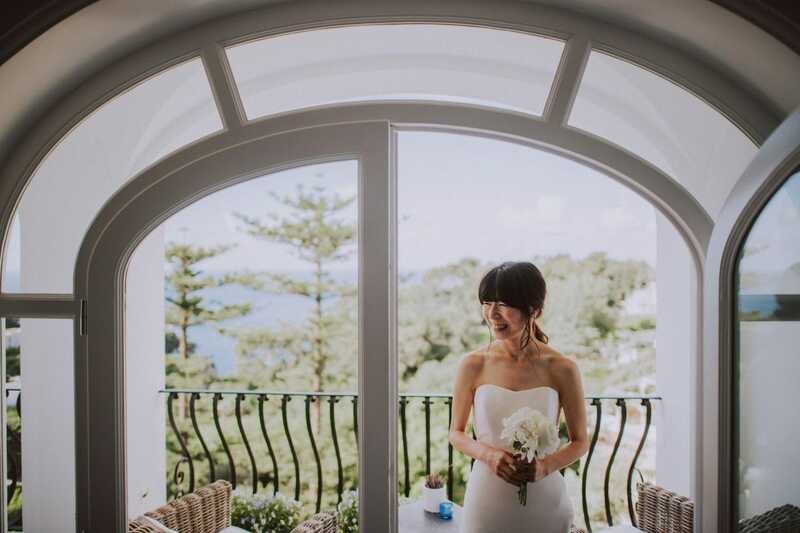 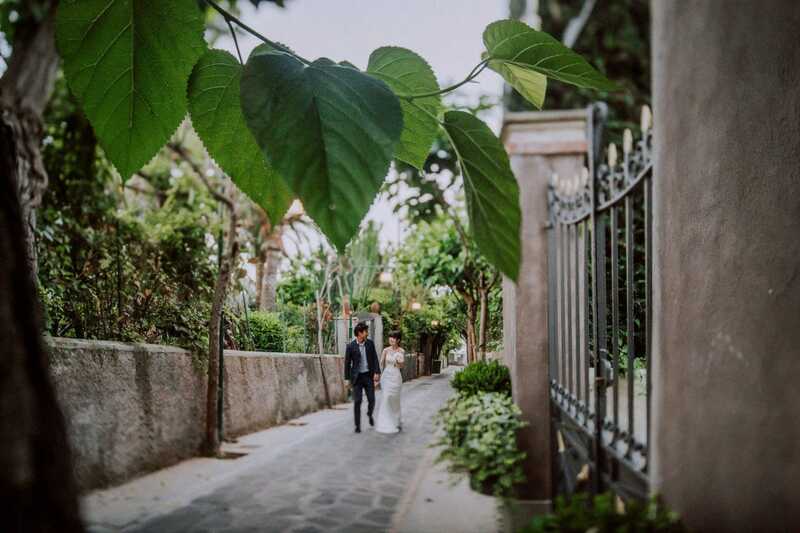 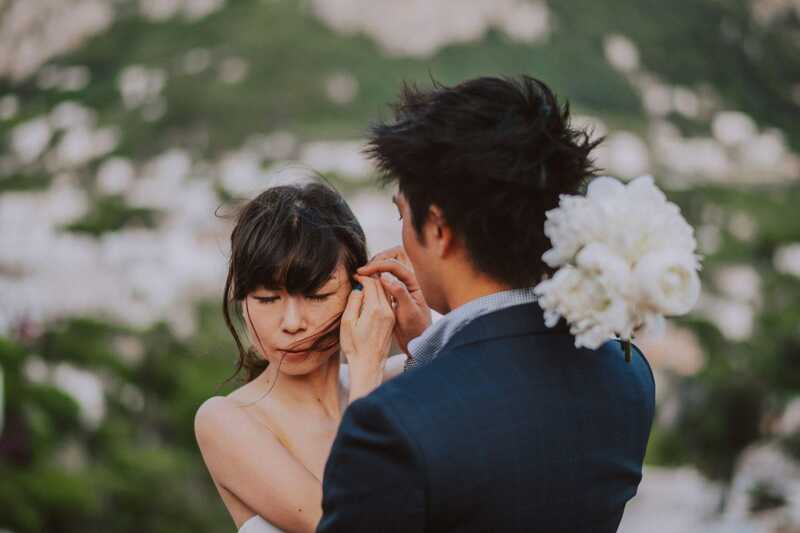 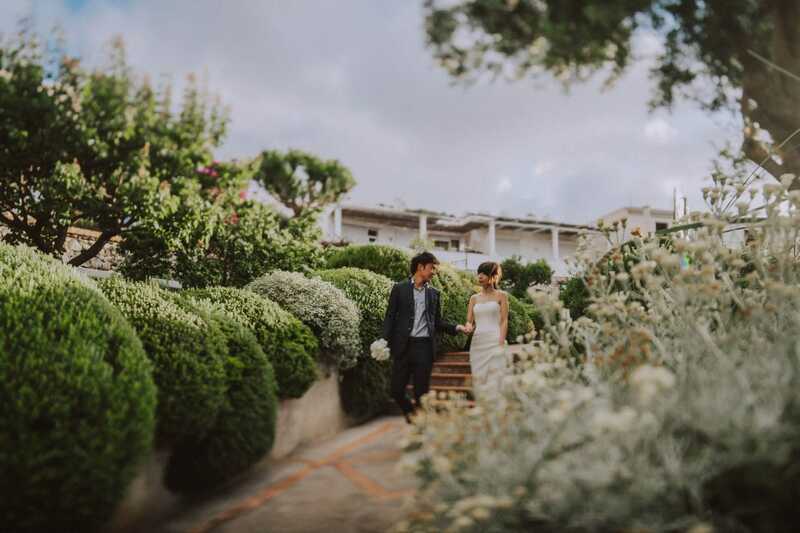 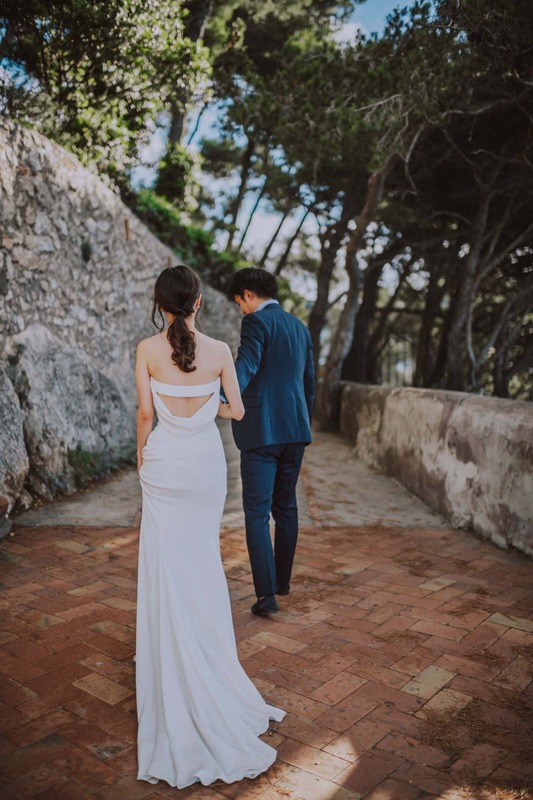 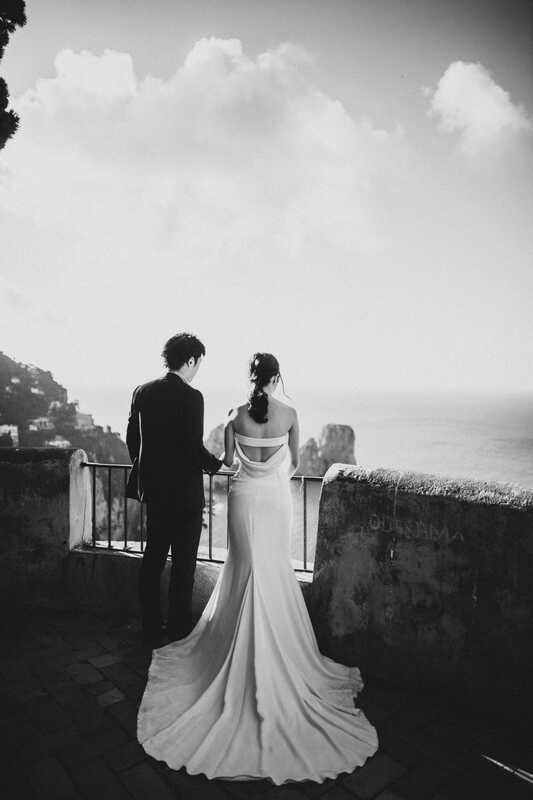 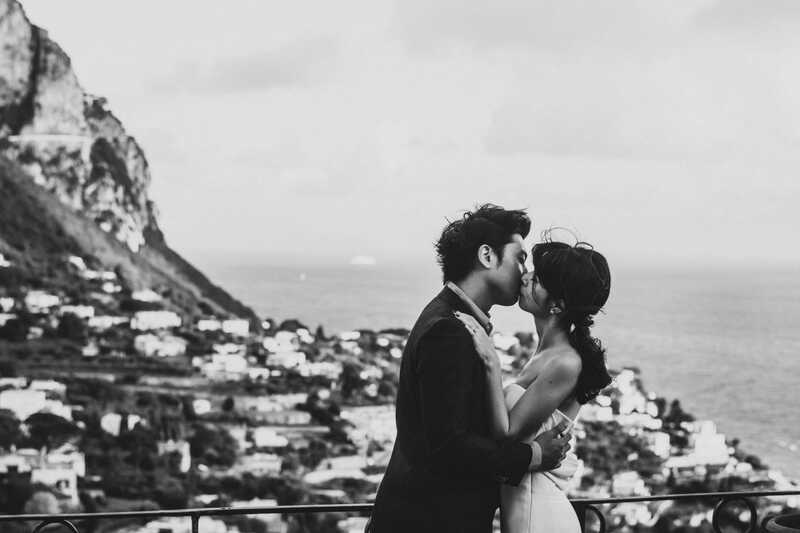 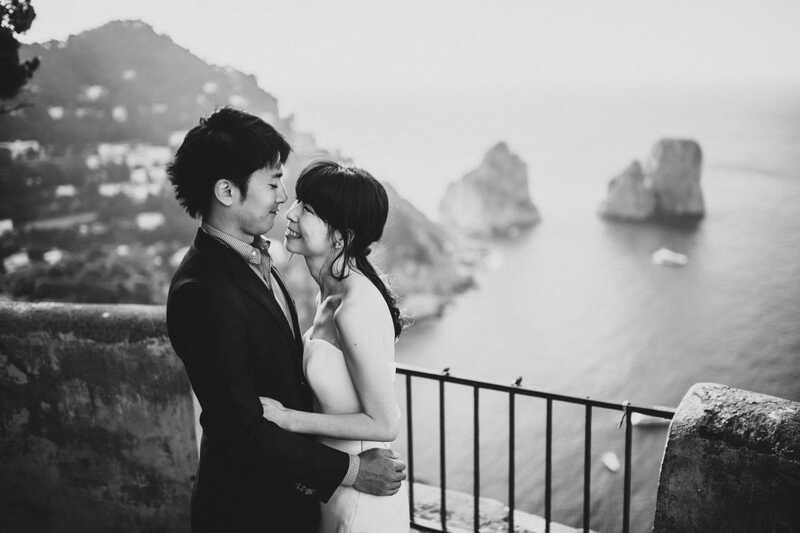 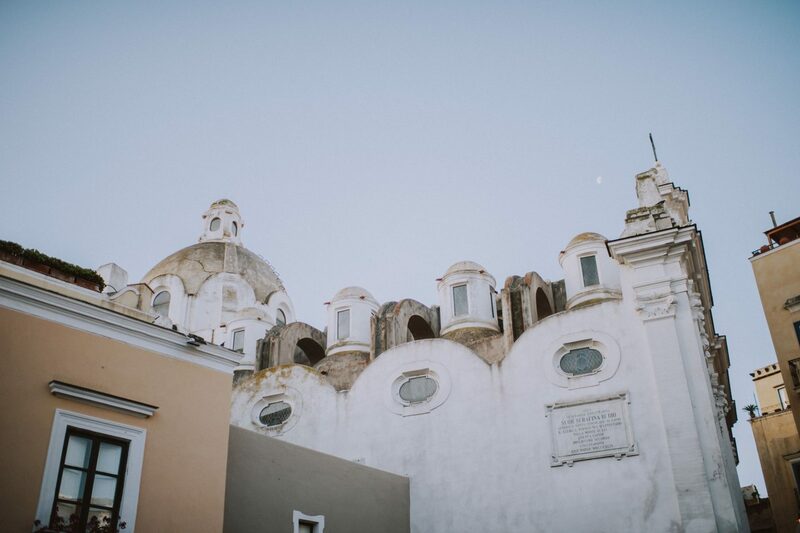 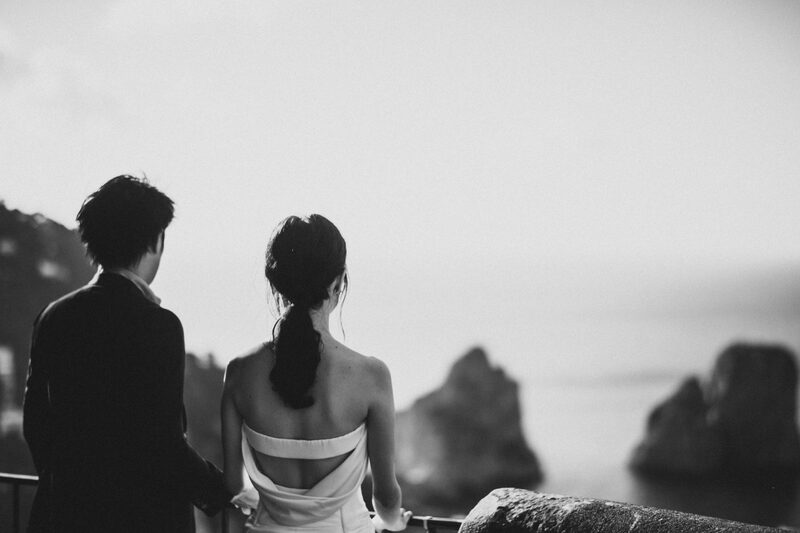 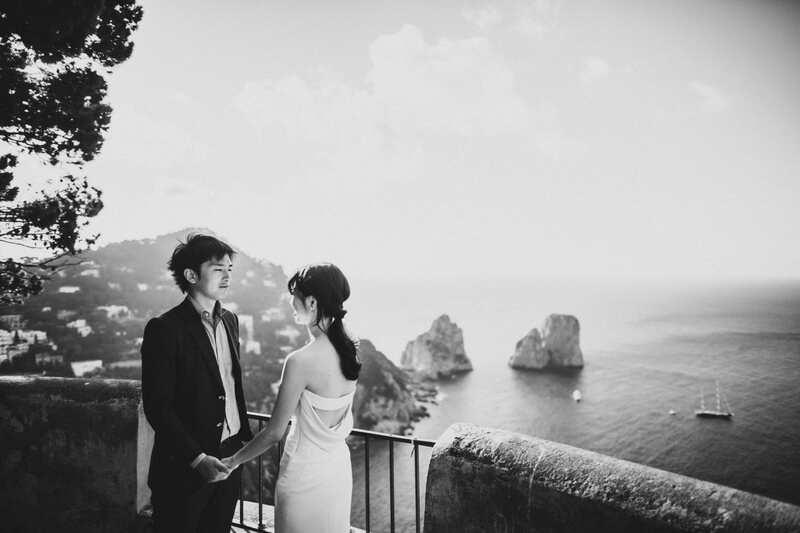 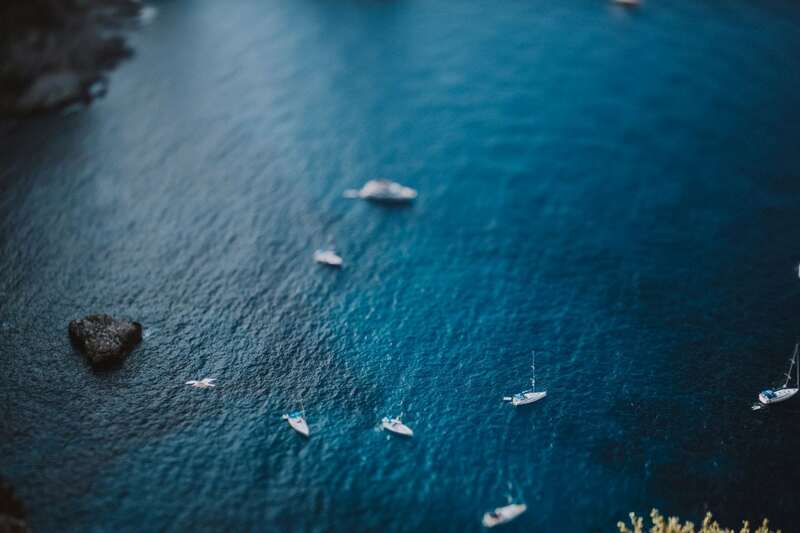 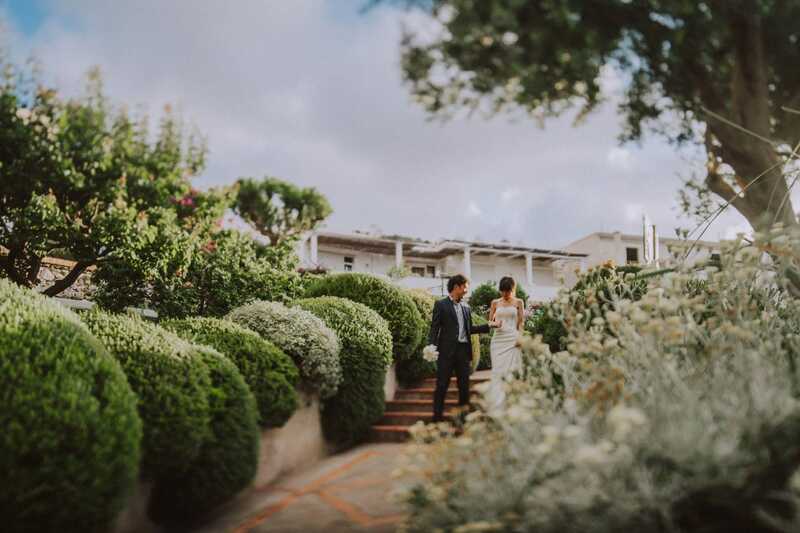 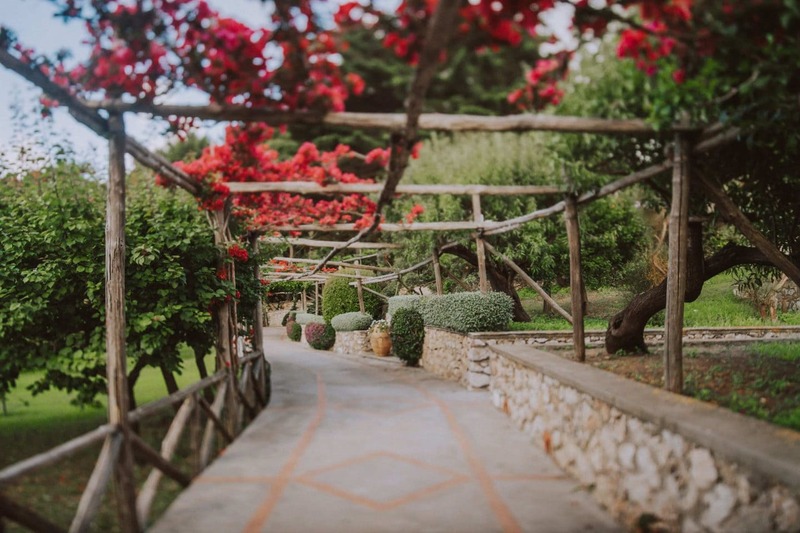 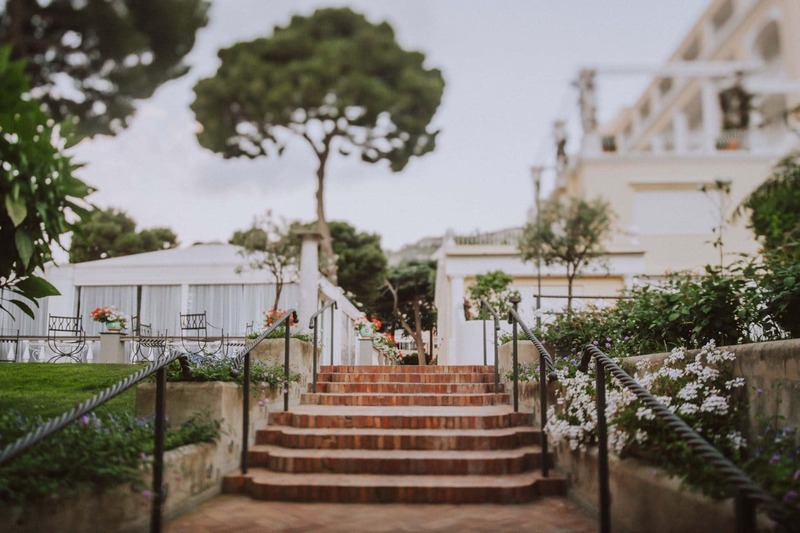 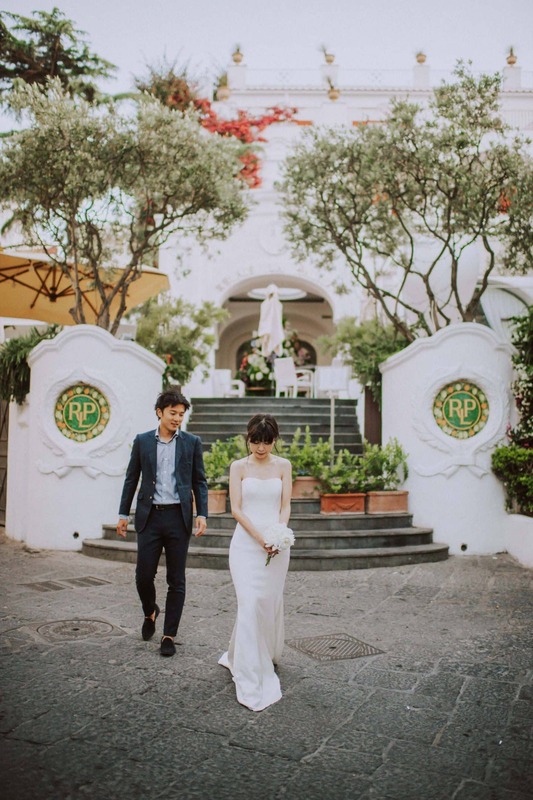 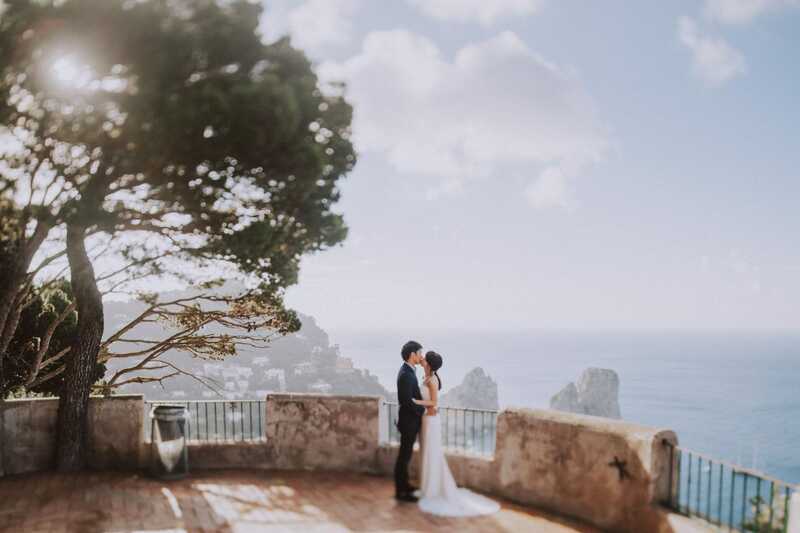 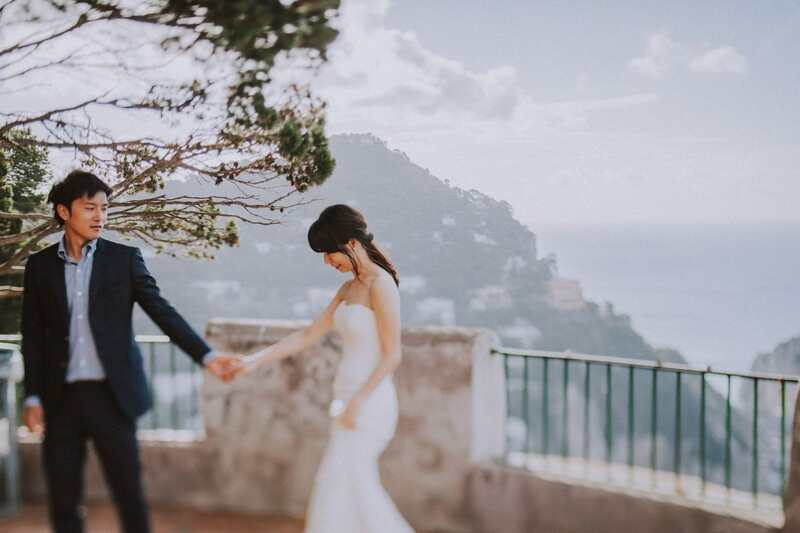 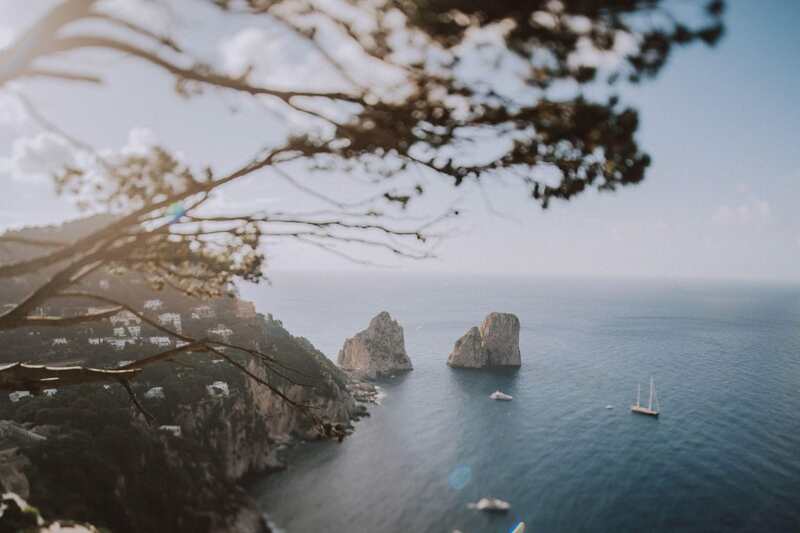 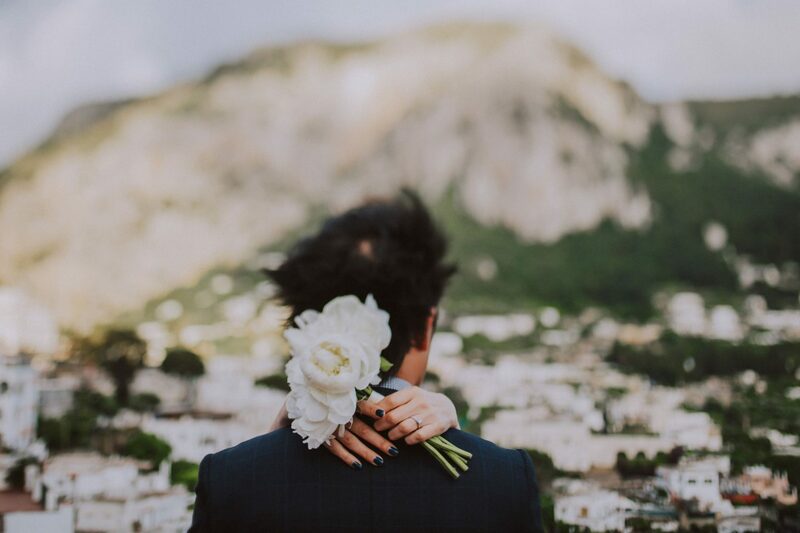 Among the endless list of wedding locations, Capri is truly one of the most beautiful. 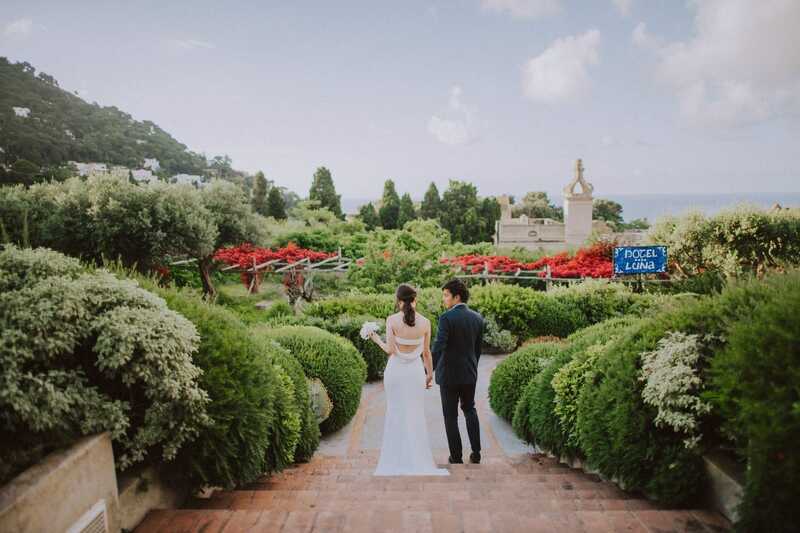 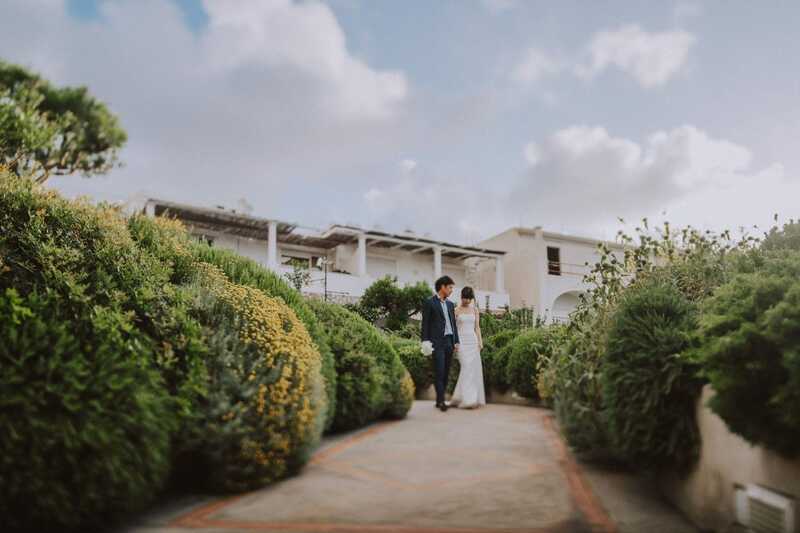 Indeed, the whole island looks like a place of paradise with an array of incredible spots to say ‘’I do’’. 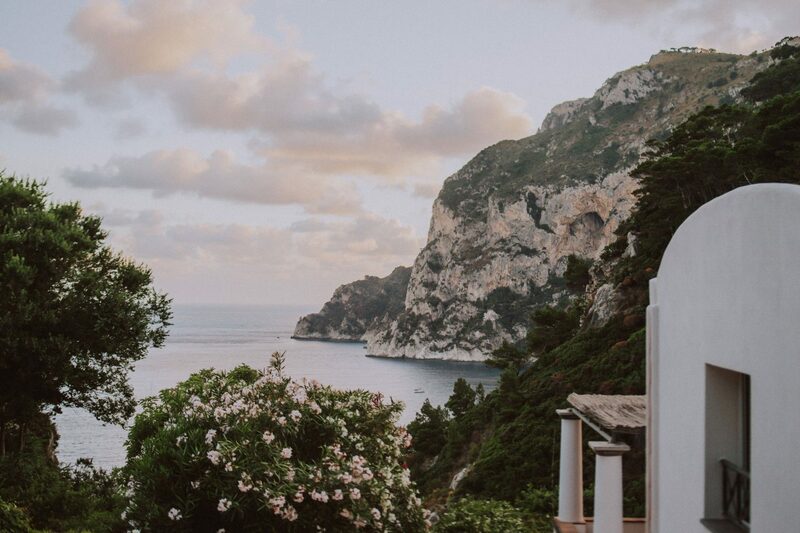 The main attraction of this little piece of heaven is actually the island itself. 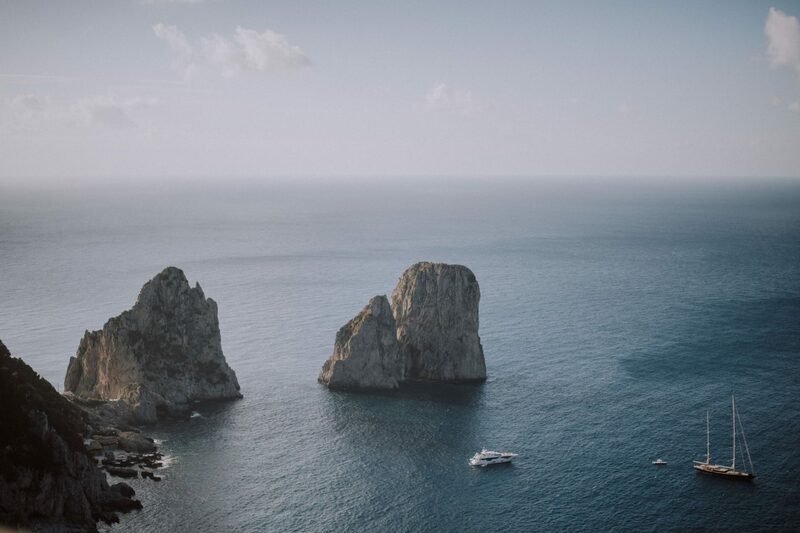 It must be remembered that its unique and wonderfully pretty layout to it with rocky shores and steep scenes offer the most breathtaking views. 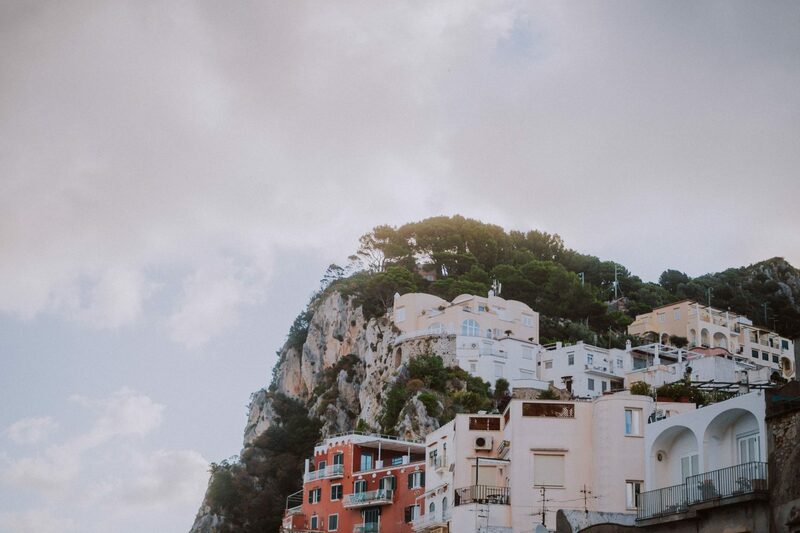 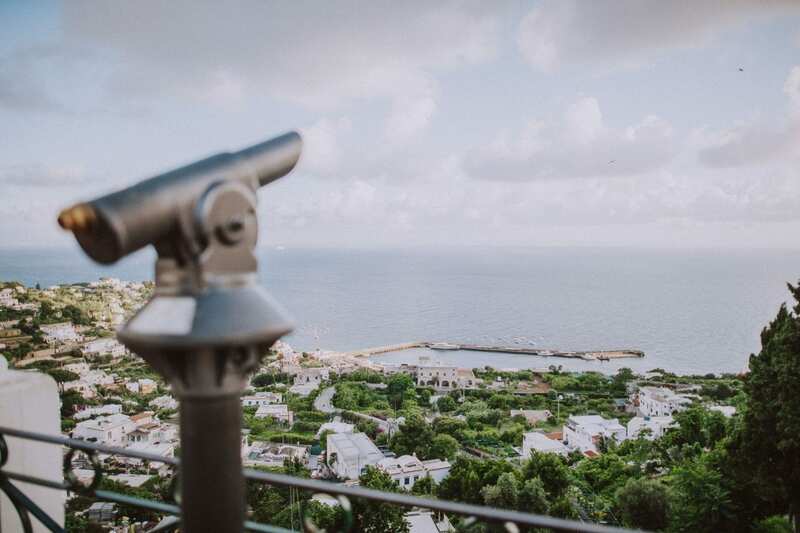 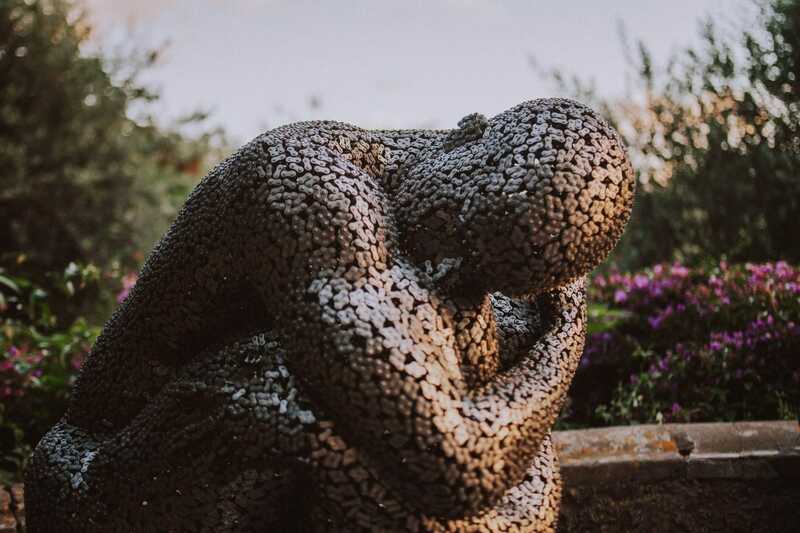 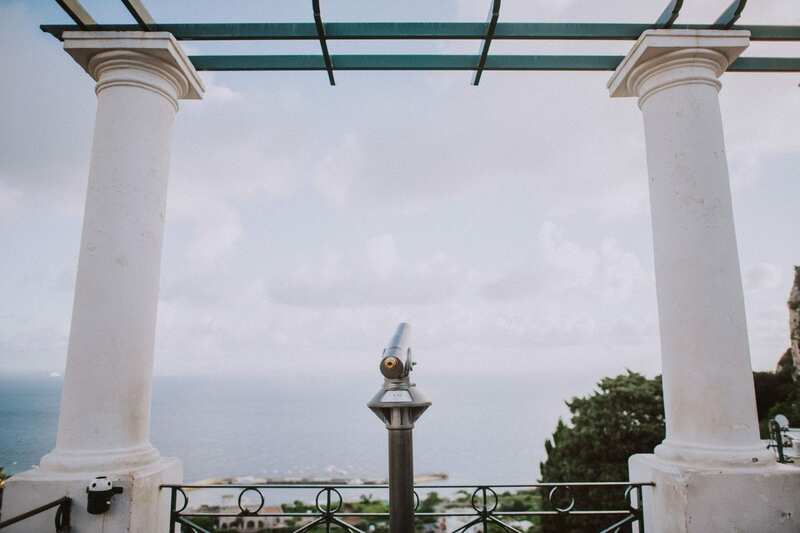 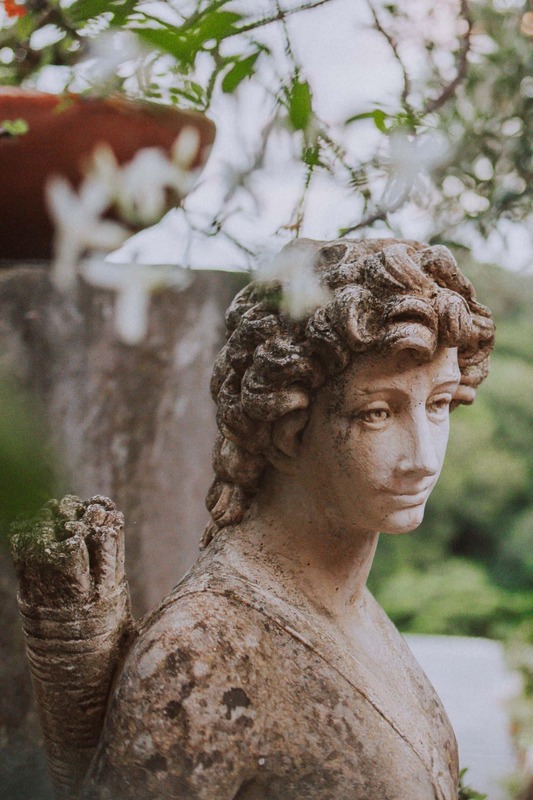 For instance, The Gardens of Augustus, the Bay of Naples and the well known Faraglioni Rocks are just three of the many popular panoramic views which can be seen from the island. 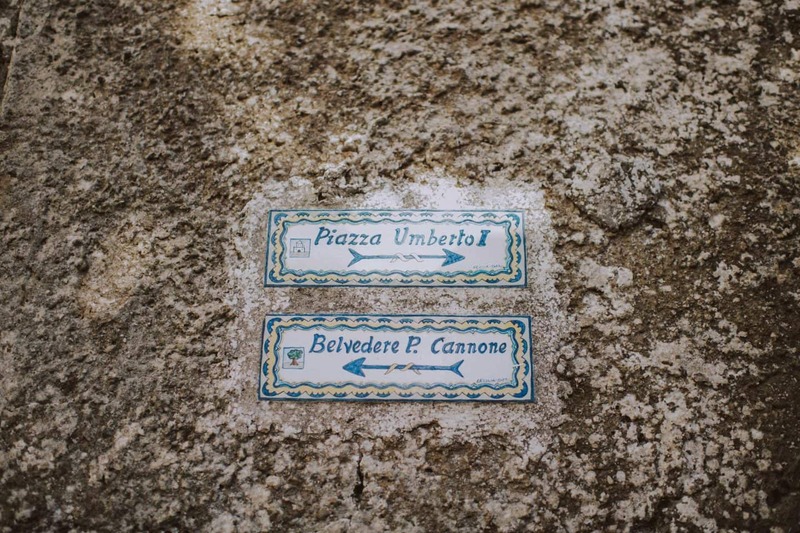 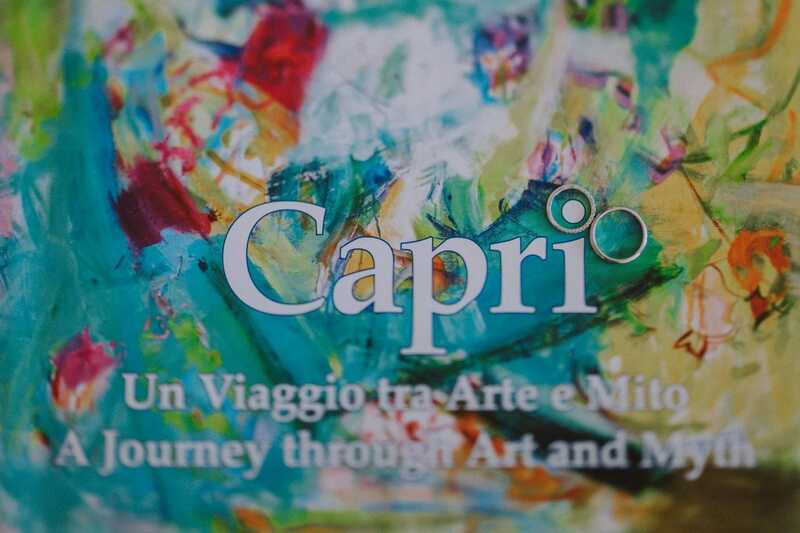 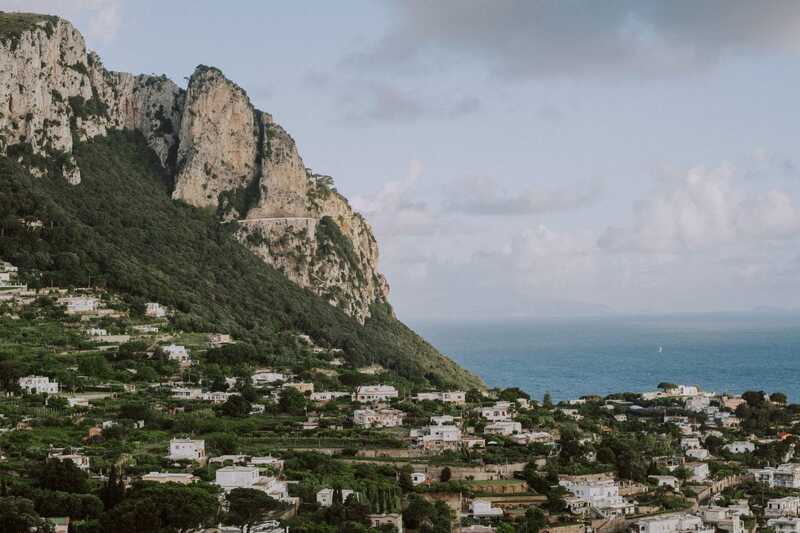 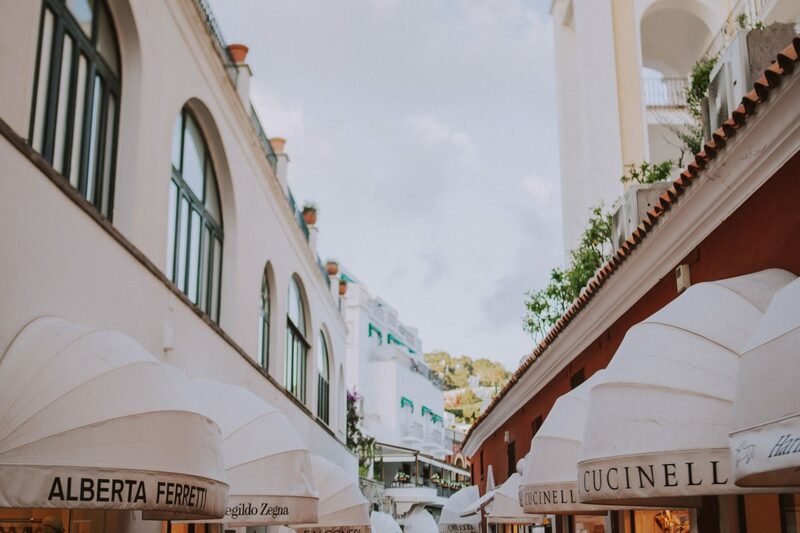 As can be seen, Capri is marked out of white houses, tiny squares and narrow medieval alleyways. 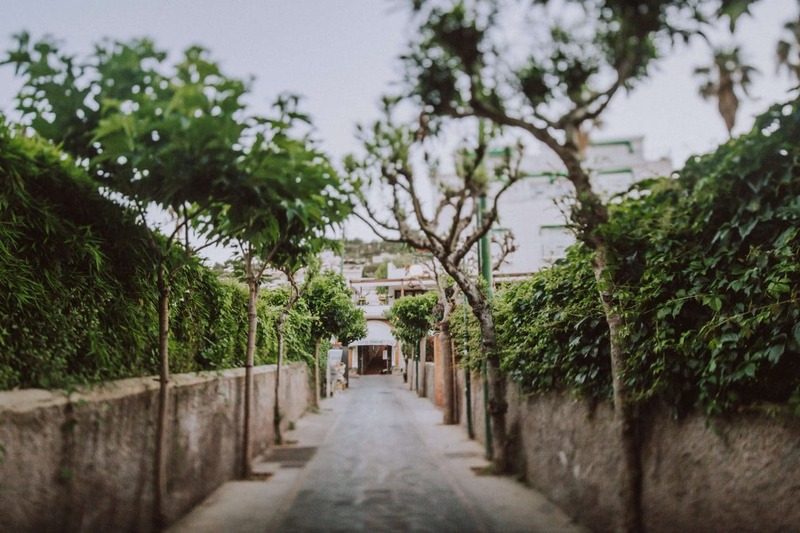 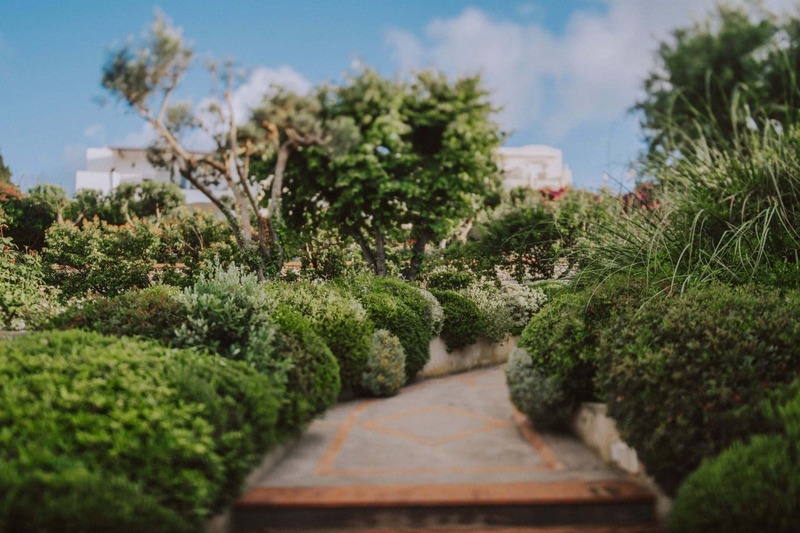 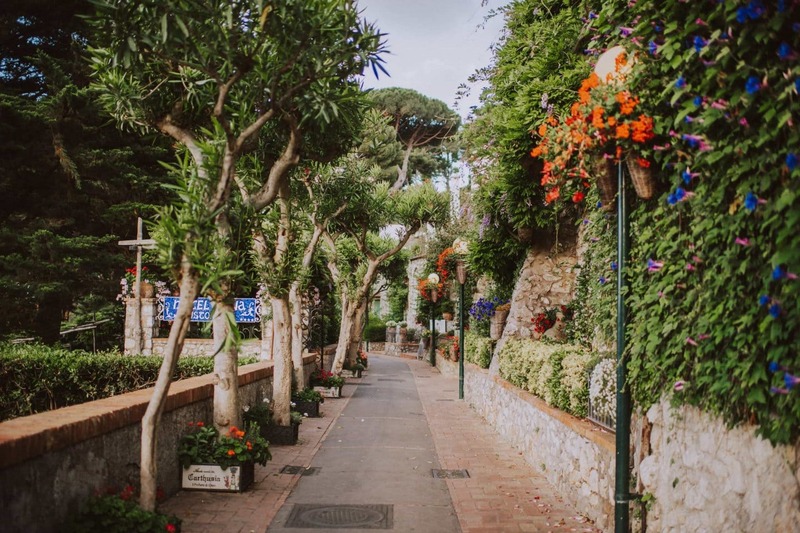 Moreover, these beautiful alleyways are full of flowers hanging from the balconies, which make Capri even more attractive. 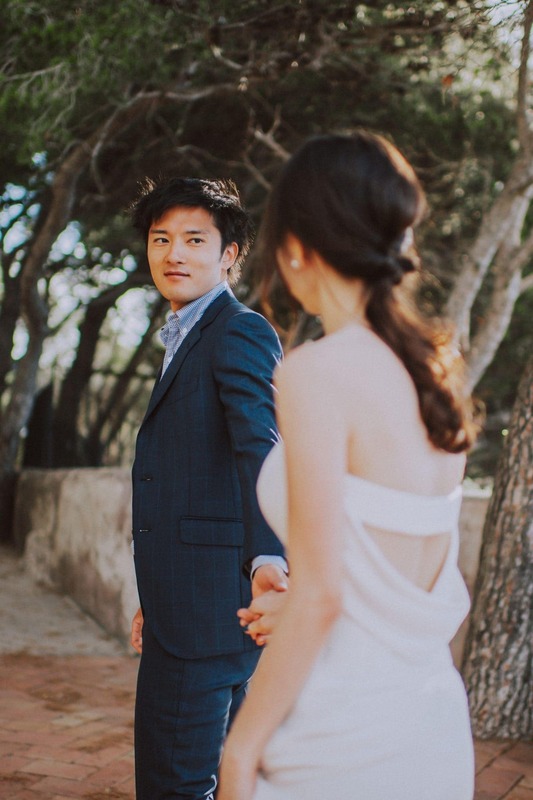 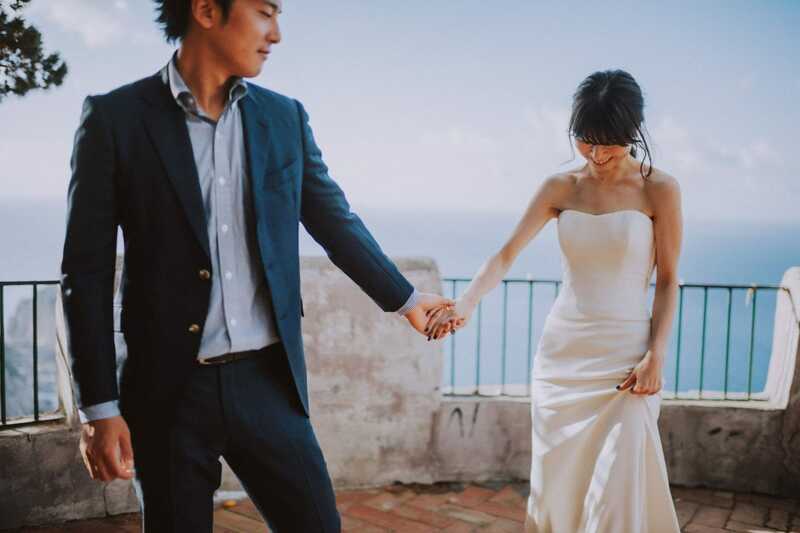 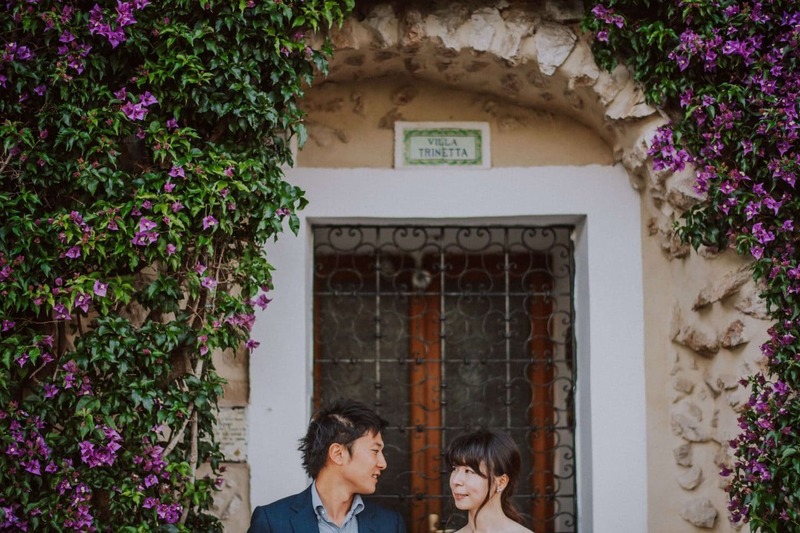 In the light of this, Sayuri and Nozomu wanted to have their honeymoon photos taken there, in such unique environment. 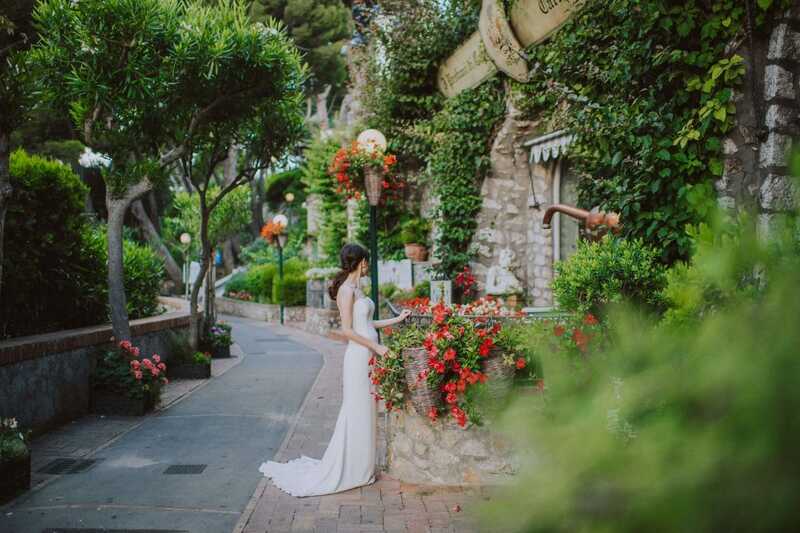 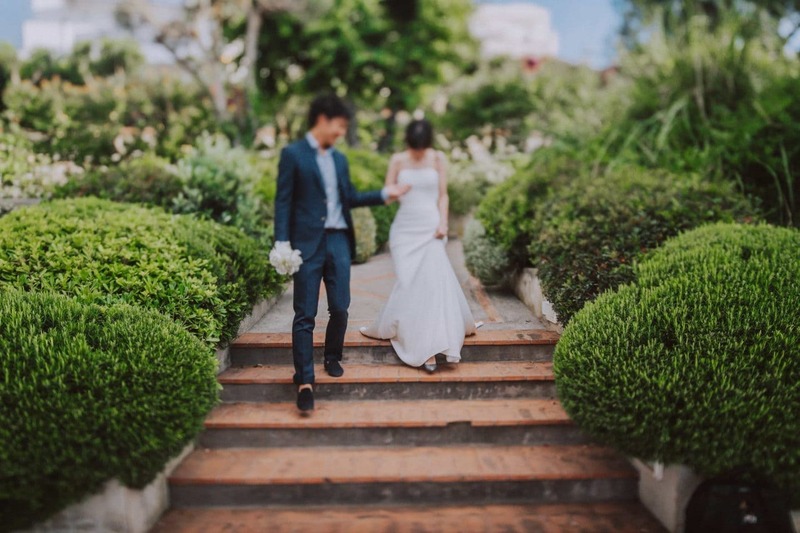 A really beautiful Capri photo shoot which started beside Grand Hotel Quisisana. 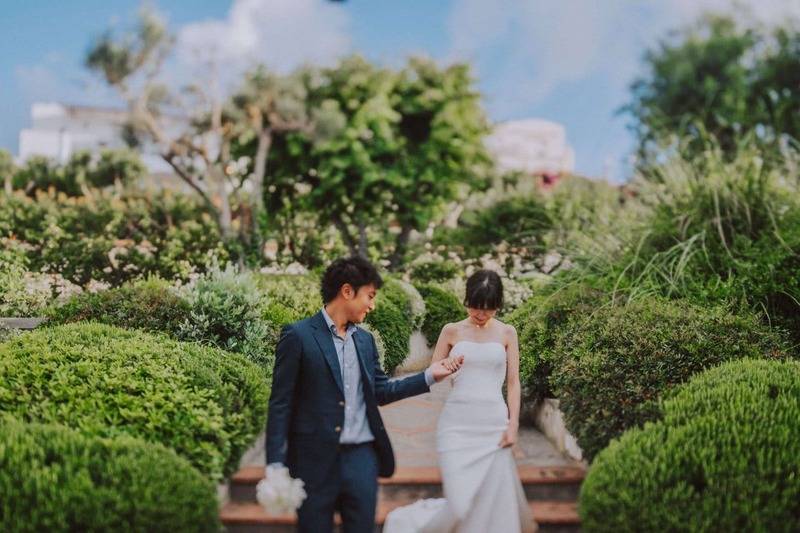 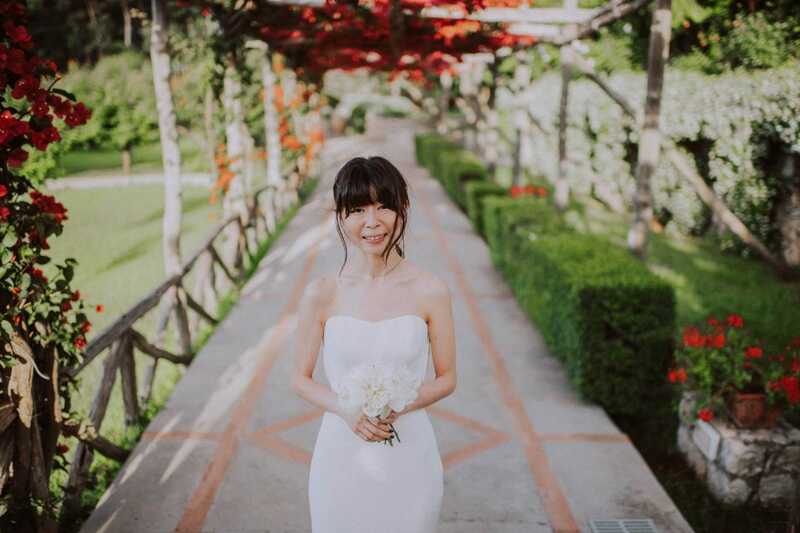 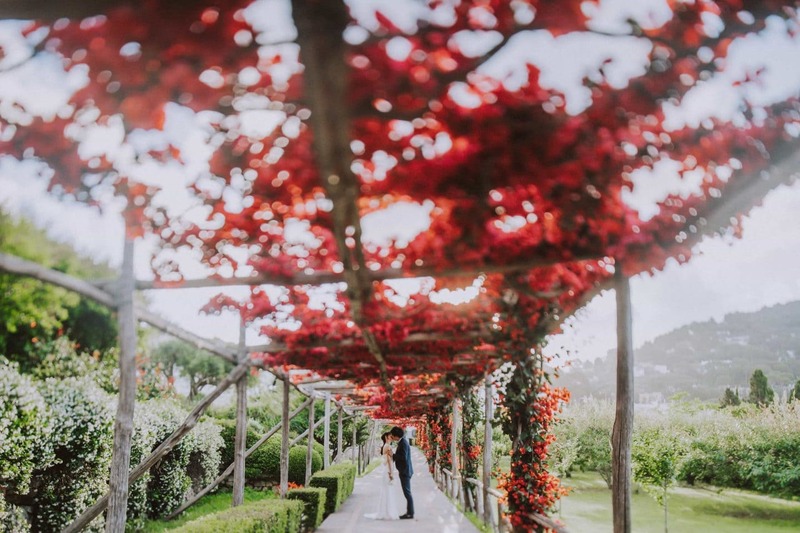 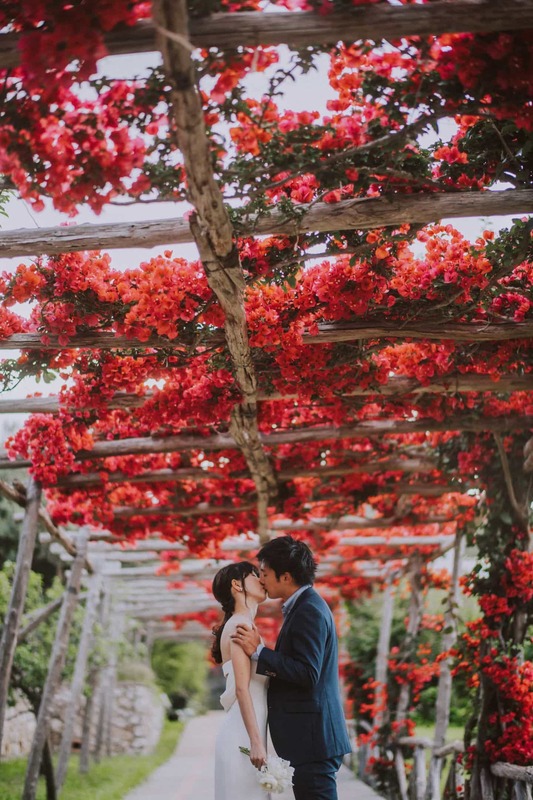 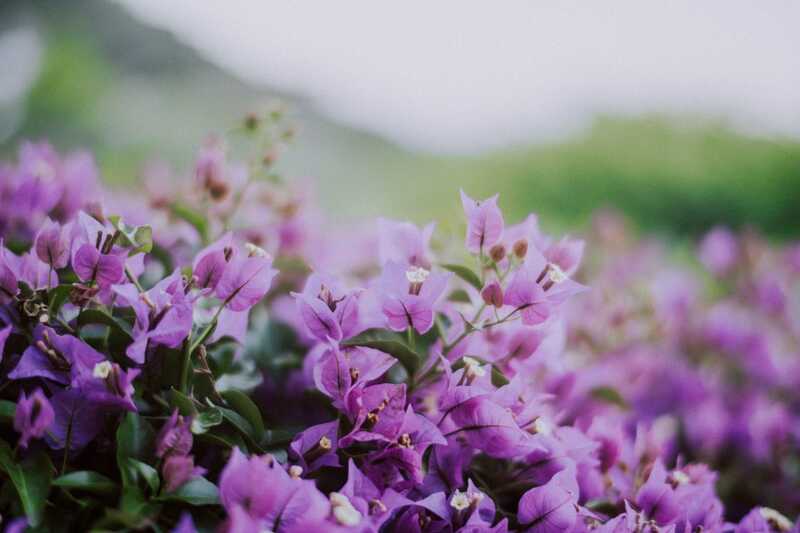 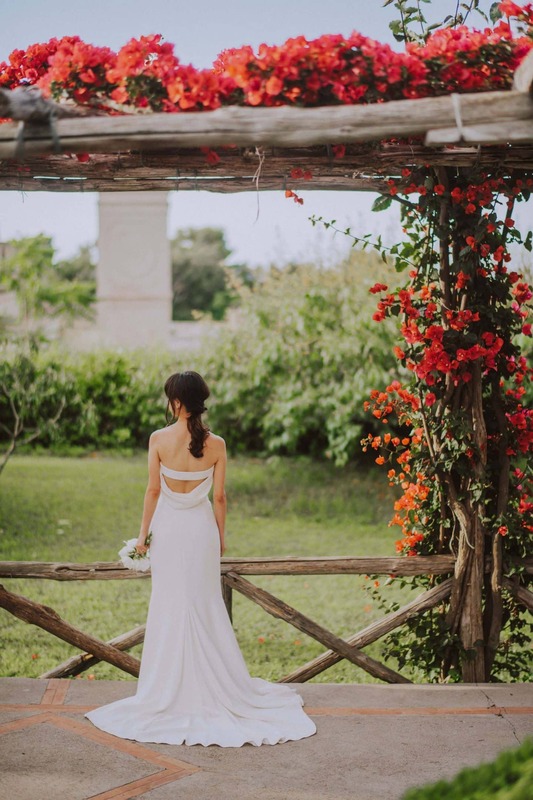 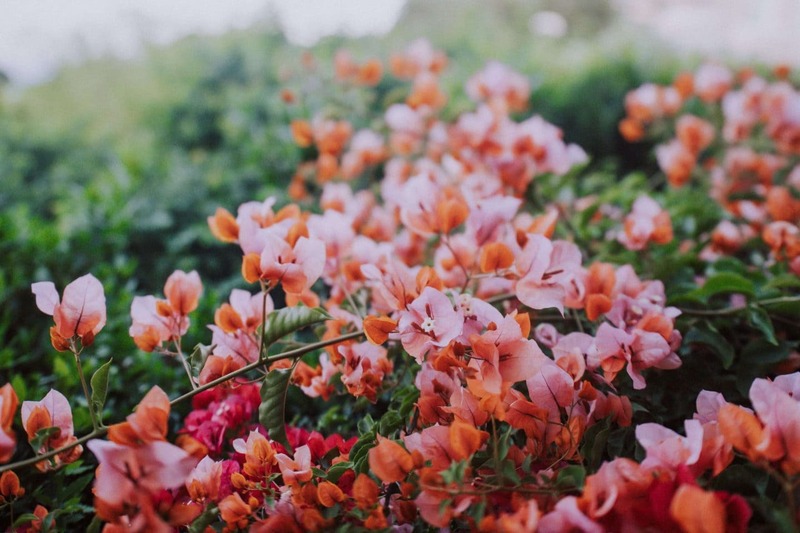 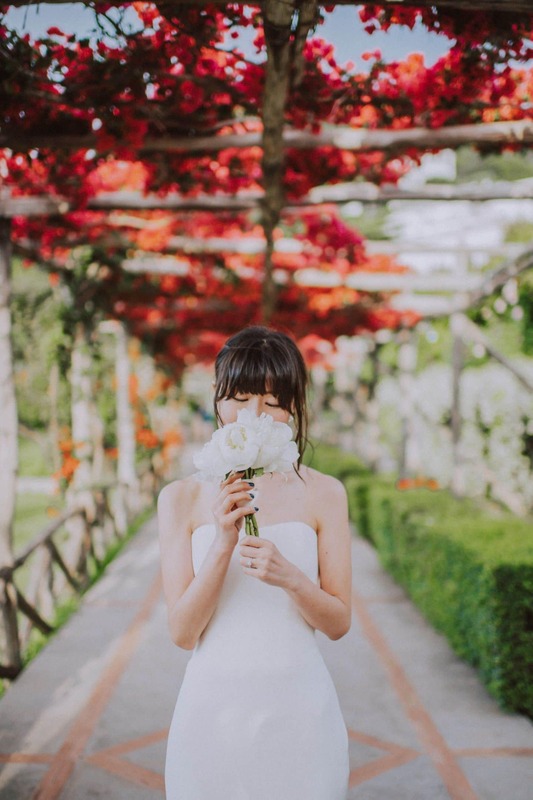 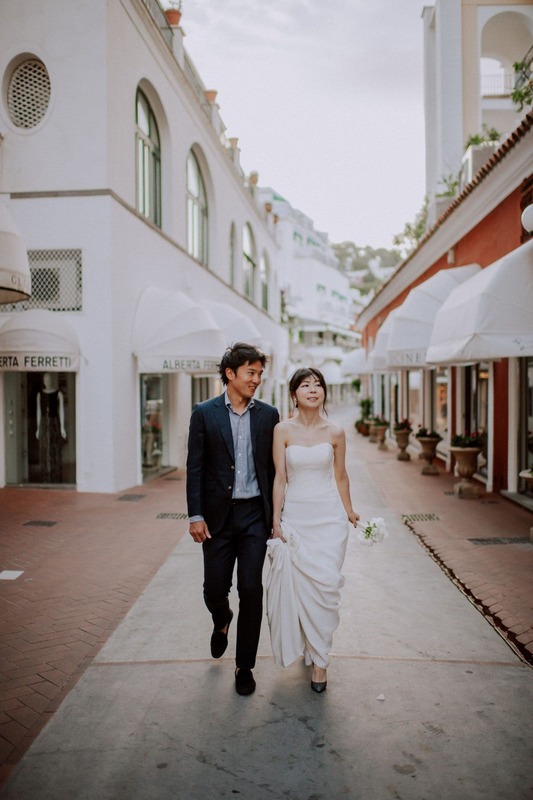 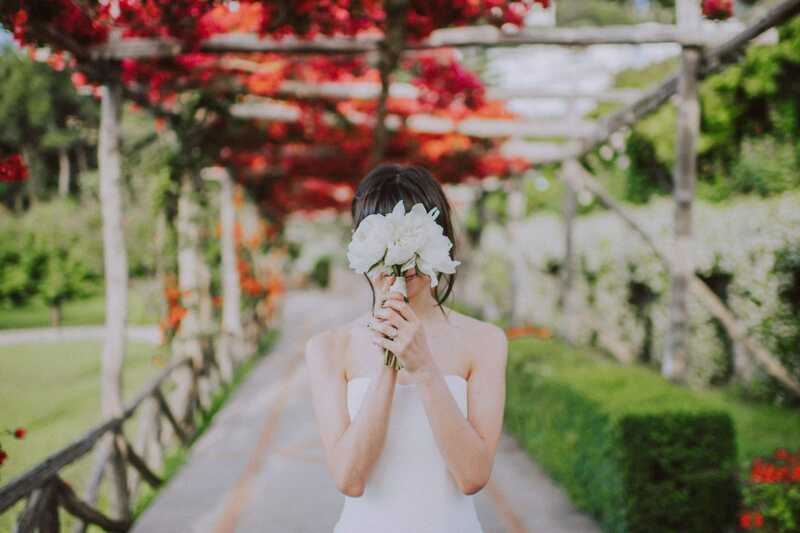 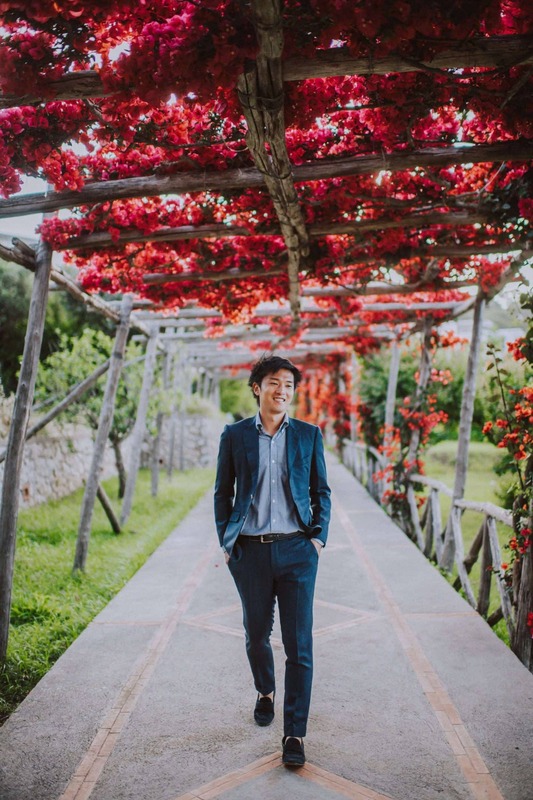 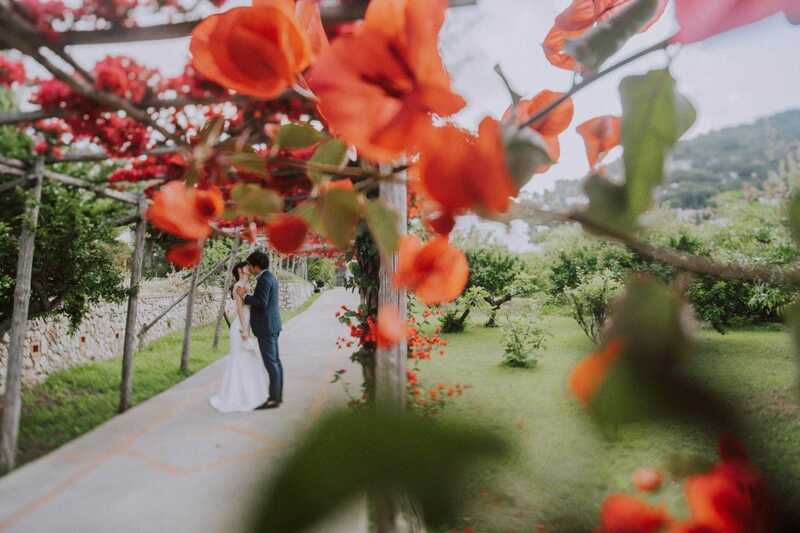 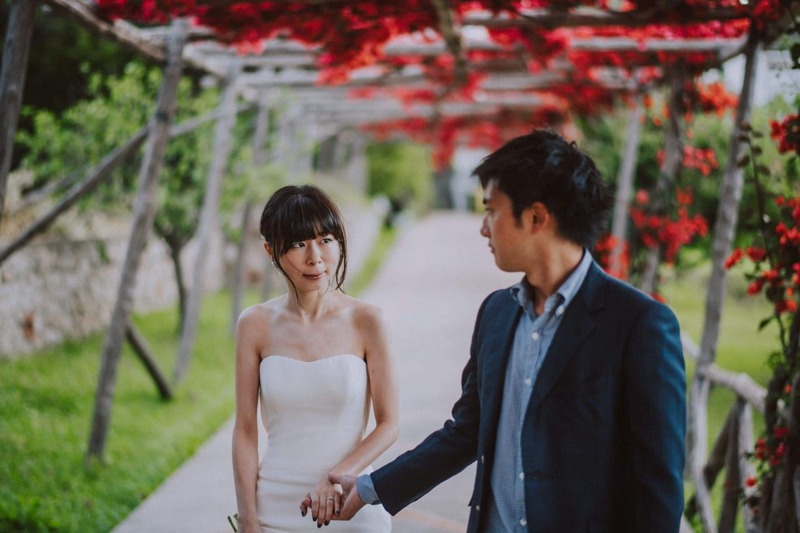 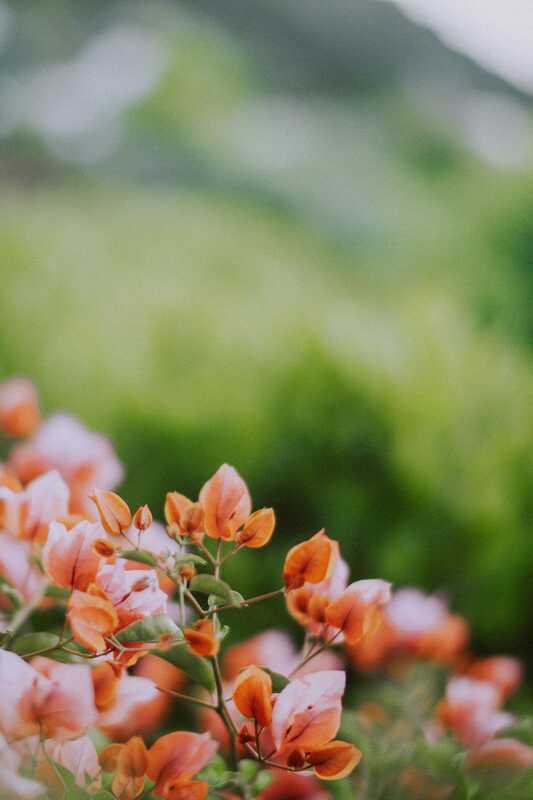 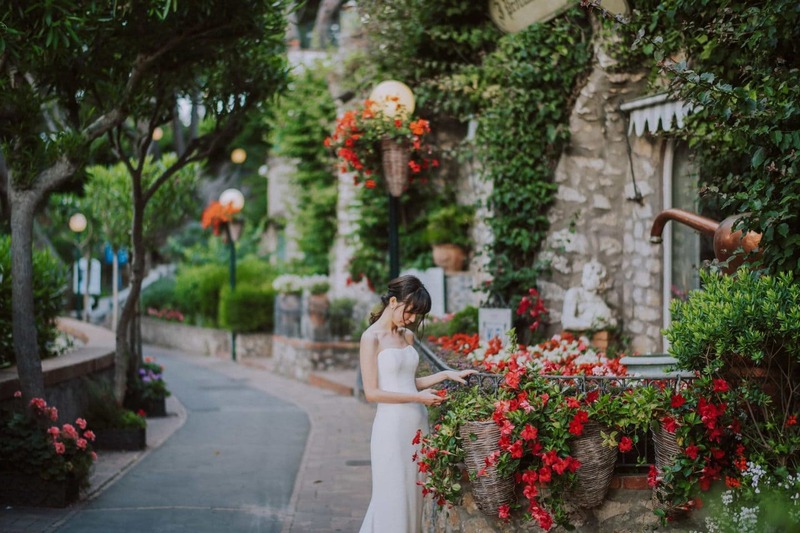 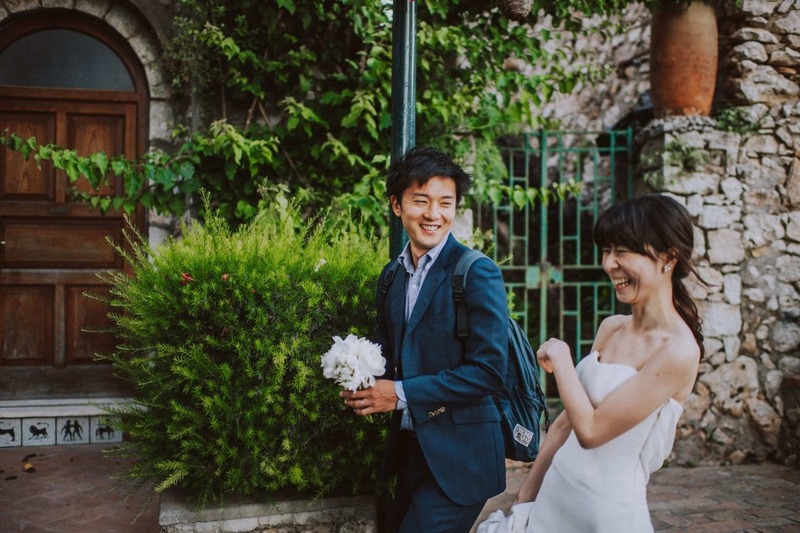 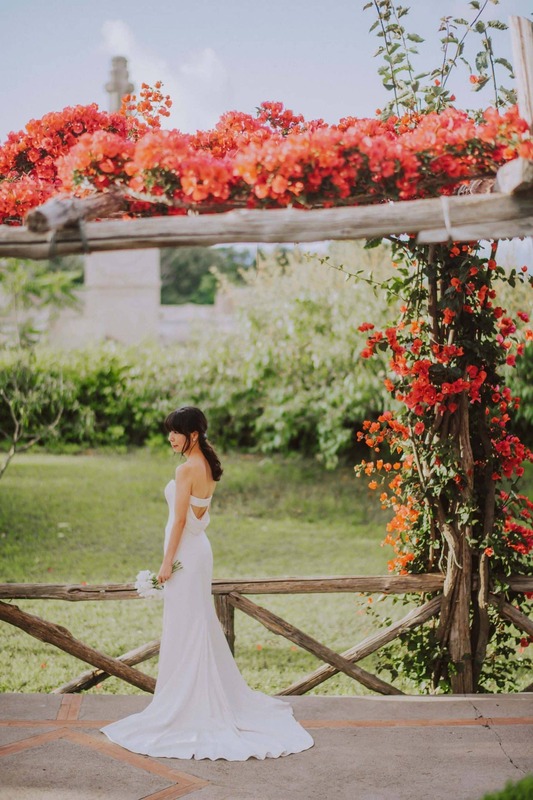 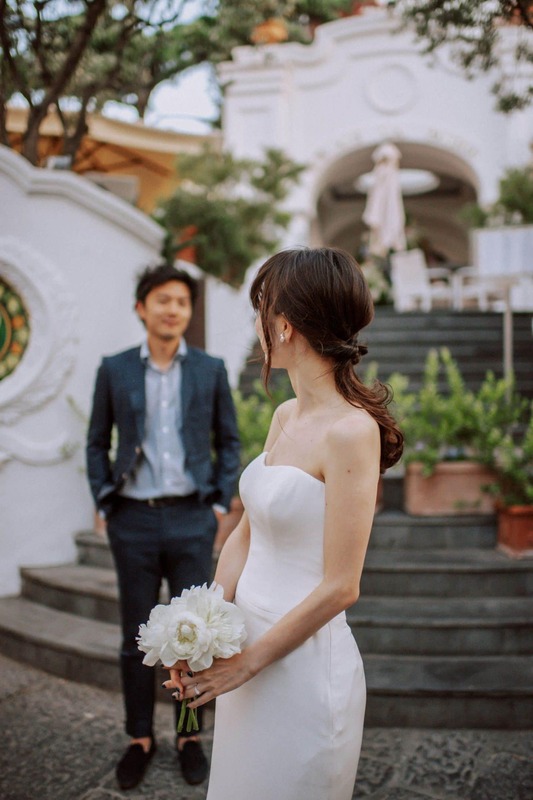 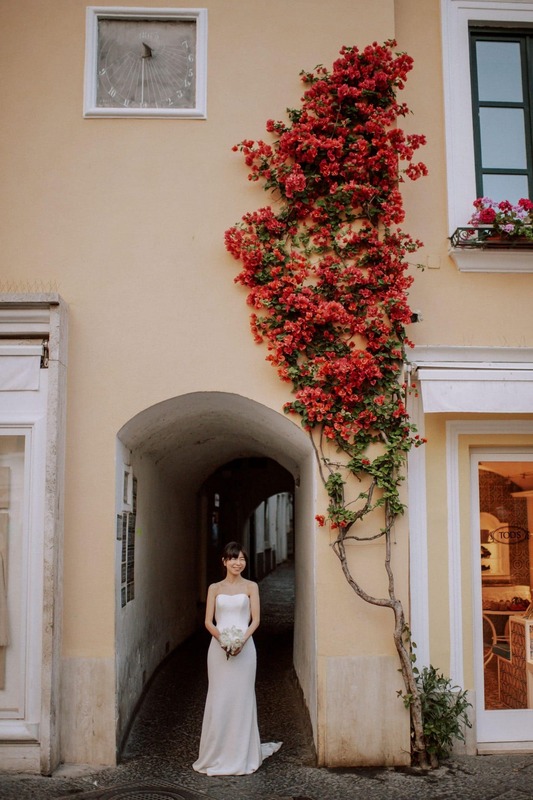 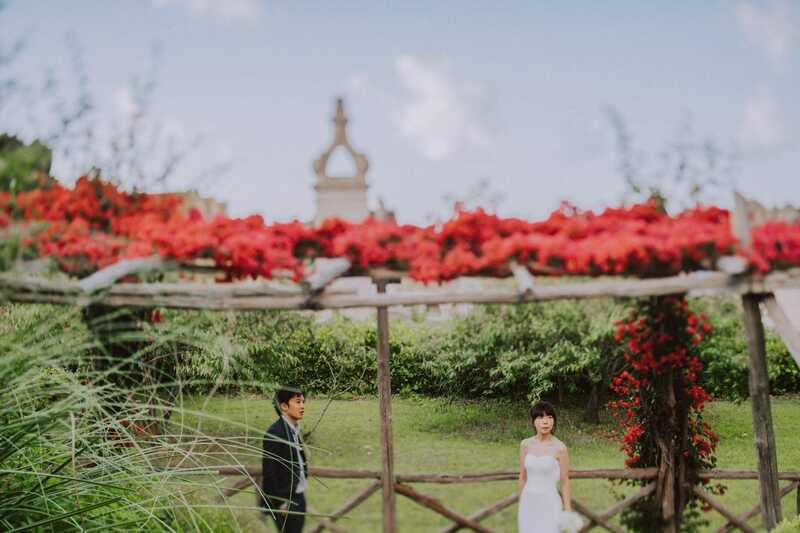 Sayuri was so in love with the idea of having a lot of photos taken surrounded by marvelous bougainvillea flowers. 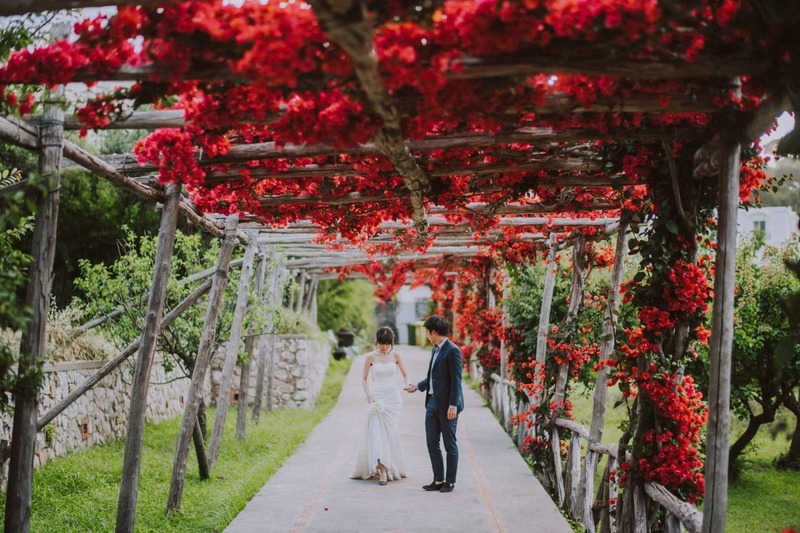 As a result, shooting in between these colorful blooming fuchsia, orange and red bougainvillea let us to get a very unique glimpse on Capri town! 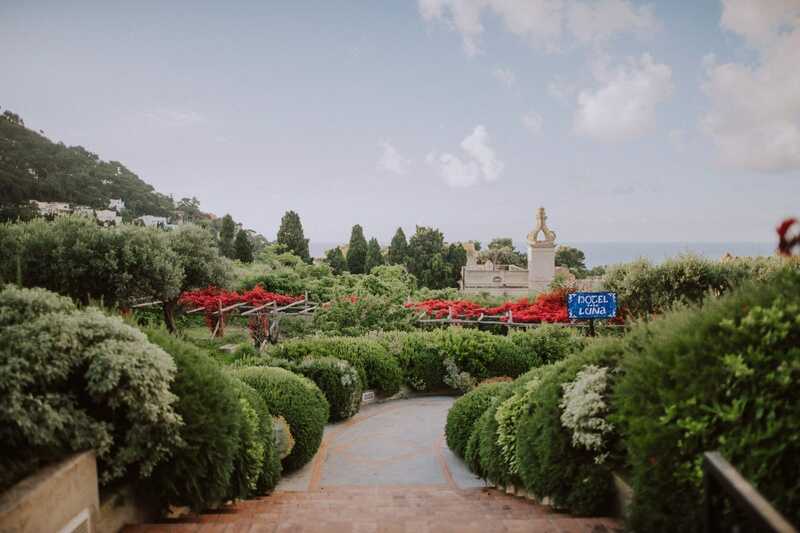 Above all, Hotel Luna’s garden, next to the Gardens of Augustus, was the top! 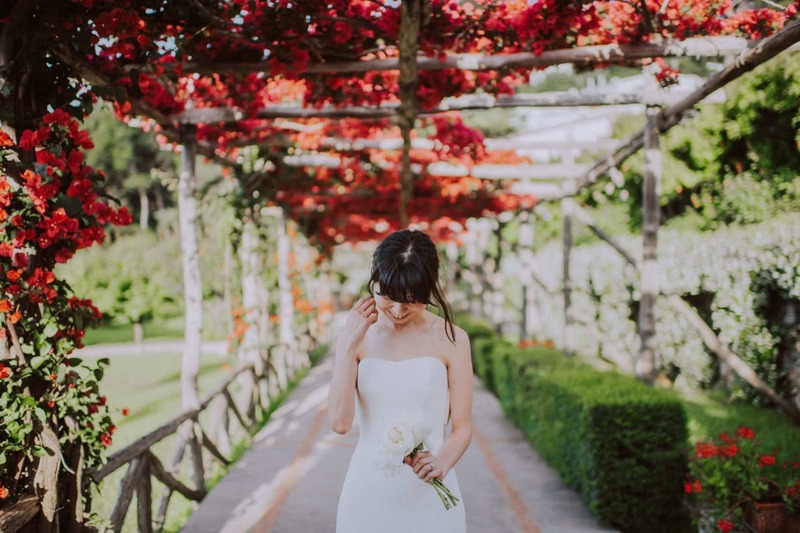 In conclusion, a photo shooting is always a good opportunity to stop time. 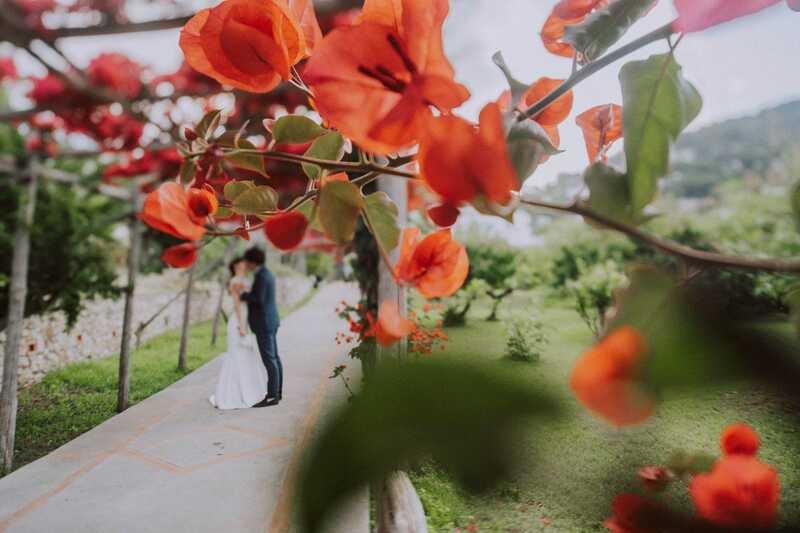 It’s not only about your wedding day; it’s amazing how just looking at a photo, your emotions, dreams, feelings come back to memory. 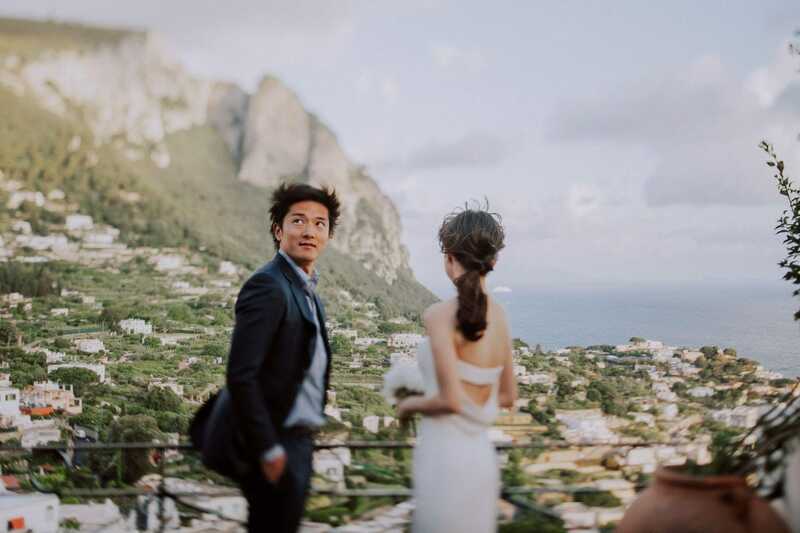 In other words, what a photo can do it’s so powerful. 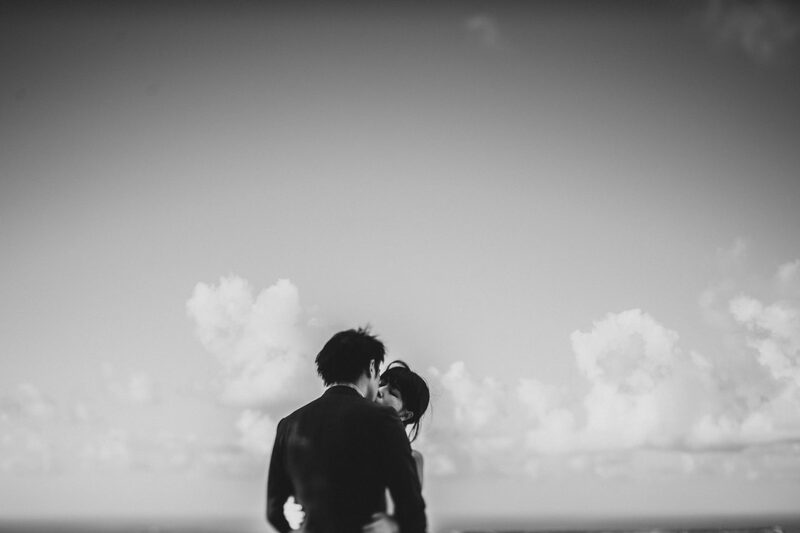 It is forever and it’s not just a common saying. 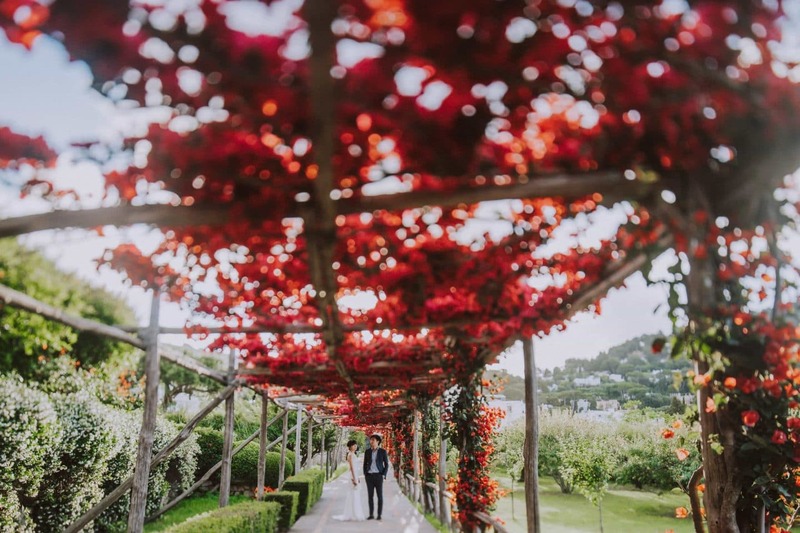 Wow, these are absolutely stunning! 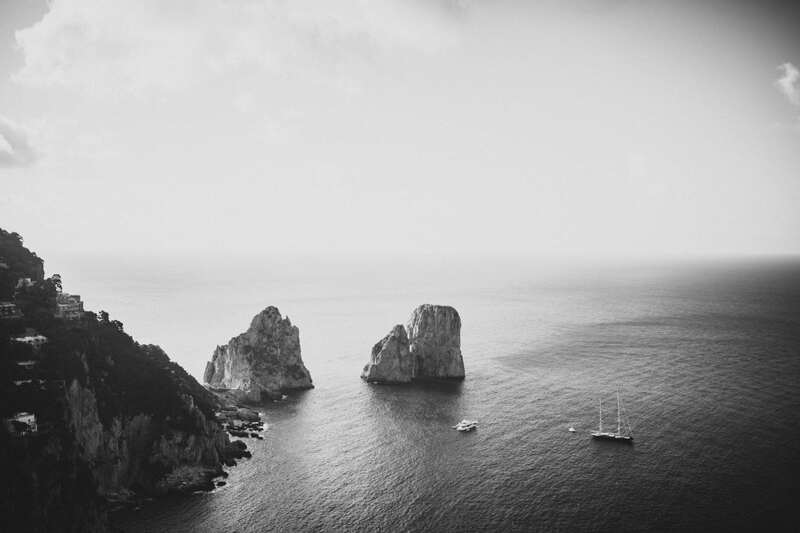 You rock at this!! 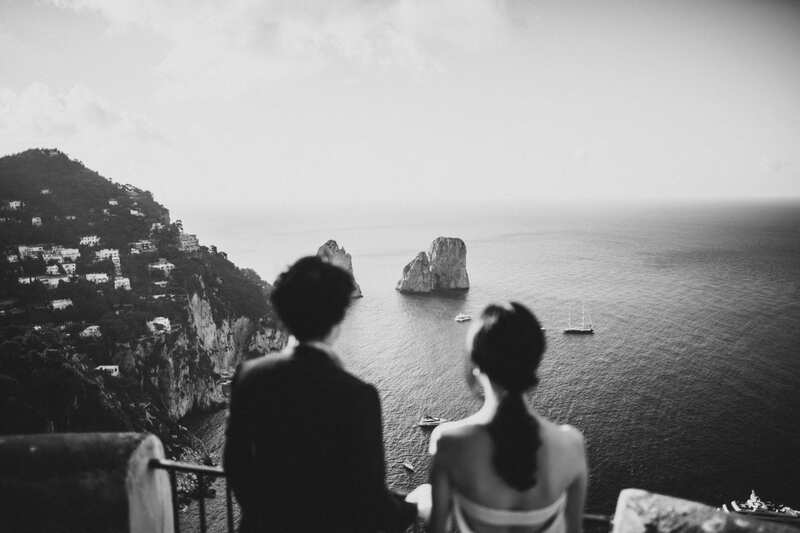 I’ve never seen a honeymoon photography session until now!